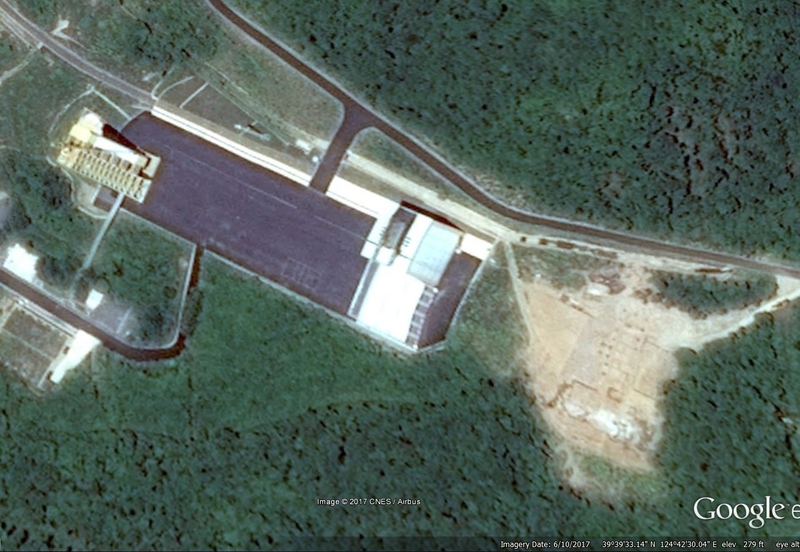 New satellite imagery have revealed land clearing under way east of the processing and assembly building of the LC-1. These constructions may be needed to support the future Unha-9 launcher. Edited by Soheil, 09 August 2017 - 03:56 AM. 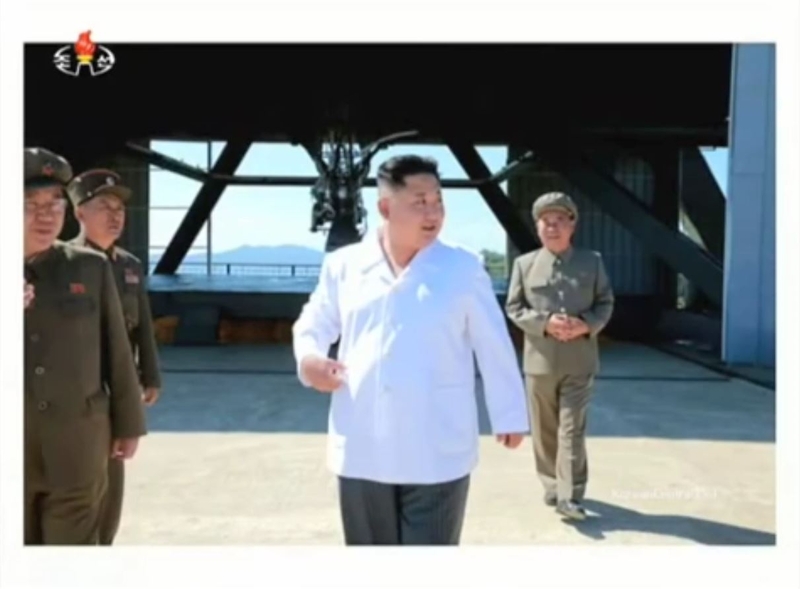 Ahead of the [Kwangmyongsong-3#2 satellite] launch, [North Korea] had sent [space] scientists and equipment in late November to some Asian nations, like China, Mongolia and Indonesia, said a senior source in Seoul. 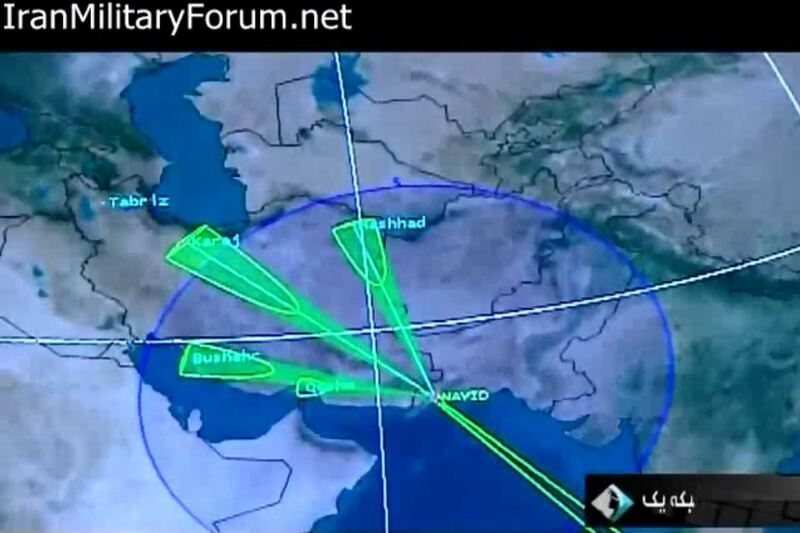 The Iranian Space Agency (ISA) operates 5 tracking stations: Karaj, Tabriz, Qeshm, Bushehr and Mashhad. ▲ From letft to right: Paektusan-1, Paektusan-2, Unha-1, Unha-2, Unha-3, and speculatives Unha-9, Unha-18, Unha-20. ▲ May 2, 2015 photo from General Satellite Control Center's exhibition room. 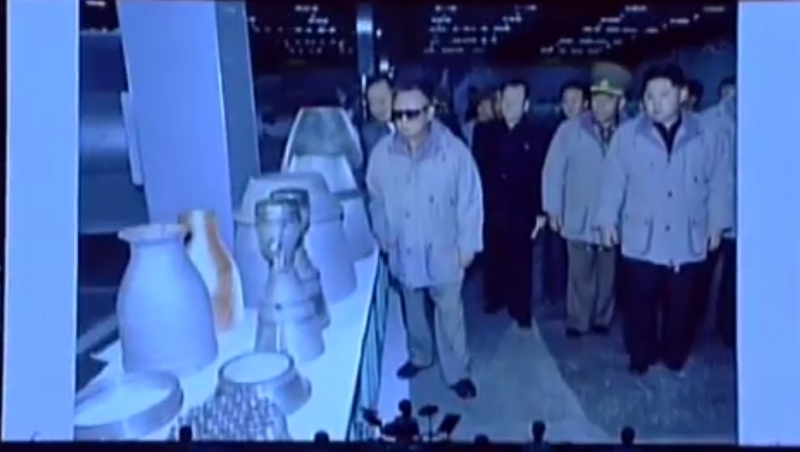 From left to right: models of Paektusan-1, Unha-2, Unha-3 LVs. Edited by Soheil, 09 August 2017 - 03:57 AM. 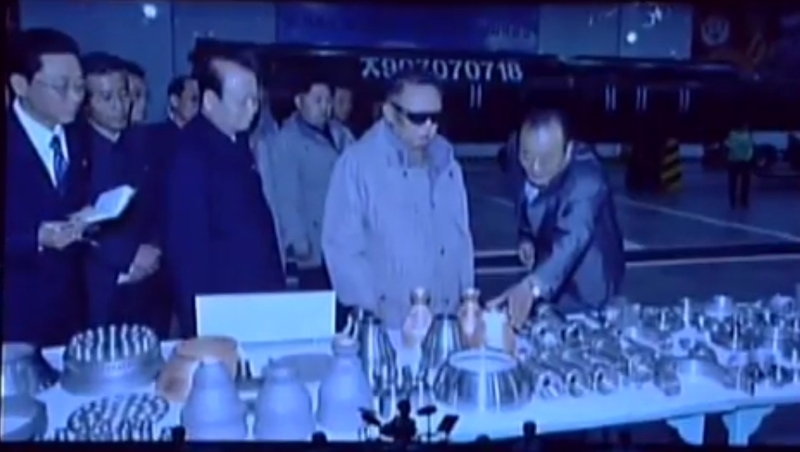 Kwangmyongsong (Korean for guiding light or Polar Star) refers to the late Kim Jong Il. The name was given by the members of the anti-Japanese guerrilla army when he was born at a secret camp on snow-covered Mt Paektu, expressing their desire that he would grow into a Korean "King David". ▲ The huge crater lake called Lake Chon ("Lake of Heaven") lies at the summit within a caldera atop the volcanic Paektu Mountain, surrounded by bare rocky crags. It is the deepest crater lake in the world, and also one of the coldest. The Lake Chon is the source of the two longest Korean rivers - Amnok (803 km) and Tumen (521 km) which serve as Sino-Korean border almost over its entire length. Paektu means "white head mountain" in Korean. The name of this mountain in Chinese is Changbai Mountain. Paektu is the most beautiful mountain in Korea and is located on the border between North Korea and China. At 2750 m (9,003 ft), it is the highest mountain of the Changbai and Paektudaegan ranges. It is also the highest mountain on the Korean Peninsula and in northeastern China. The area around the mountain is dotted with revolutionary historical sites and secret camps connected with Korean guerrilla fight against the Japanese, who held the Korean Peninsula as a colony until their 1945 surrender ended the World War II. Koreans consider Mount Paektu not only as a heart of Korean Revolution but also as the place of their ancestral origin and as a sacred mountain, one of the three "spirited" mountains (Jirisan, Hallasan and Paektusan); the one contained in the legendary foundation of Korea. 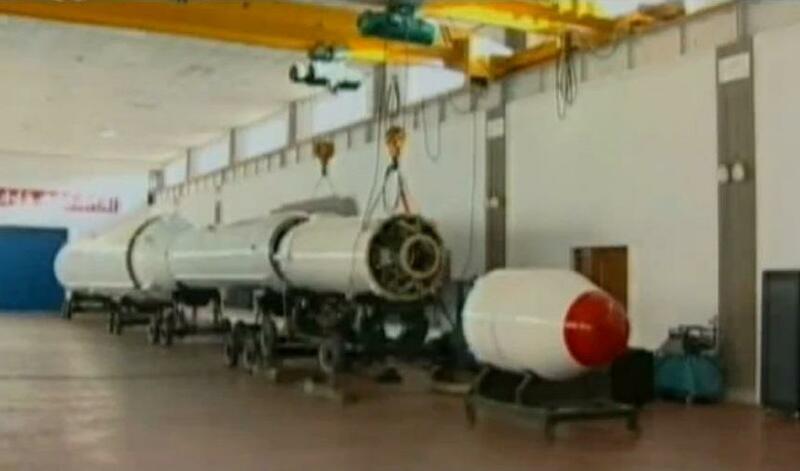 North Korea used the [old Soviet] R-27 intermediate range missile with a range of 4,000 km and developed it as a platform to build the Moksong-1 (목성-1호, 木星-1號: Jupiter-1) intercontinental ballistic missile with a range of 8,000 km and further improved the performance of the Moksong-1. It is reasonable to say that it developed an intercontinental ballistic missile. Moksong-1 (목성-1호, 木星-1號: Jupiter-1) is a first generation lightweight intercontinental ballistic missile with a range of 8,000 km and Moksong-2 (목성-2호, 木星-2號: Jupiter-2) is a second generation heavyweight intercontinental ballistic missile with a range of 15,000 km. First, North Korea did not built the Moksong-1 ICBM by assembling a Hwasong-7 MRBM and a Hwasong-6 SRBM as a two stages missile [as claimed by American sources], and it developed a much stronger thrust than a Hwasung-7 and Hwasong-6. It built the Moksong-1 using a new missile. 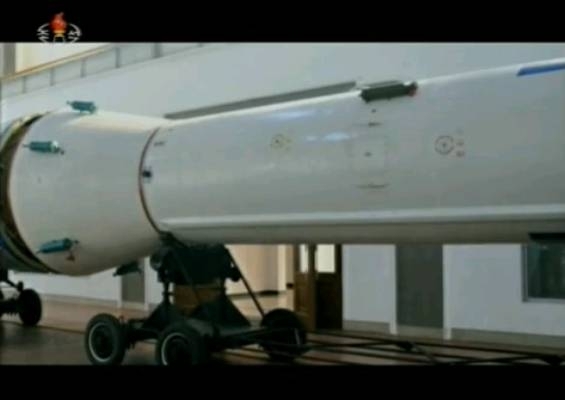 Specifically, the first stage of the Moksong-1 incorporates Soviet technology based on an R-27 class medium-range missile. Originally, the medium-range missile R-27 is divided into a road-mobile missile and a submarine-launched missile. The road-mobile R-27 class medium-range missile, used as the first stage of the Moksong-1 missile, has a range of 4,000 km. 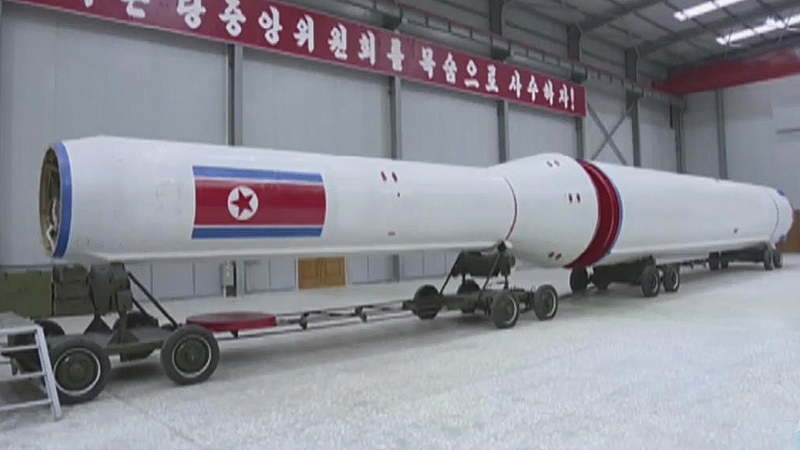 Second, North Korea modified the three-stages Moksong-1 ICBM design to build the three-stage Paektusan-1 satellite launch vehicle. North Korea's first satellite launch vehicle, Paektusan-1, was launched successfully on Aug. 31, 1998, with its first test satellite Kwangmyongsong-1. The most important technical hurdle in the development of a ballistic missiles of IRBM class or higher is the reentry vehicle that must survive high temperatures of several thousands of degrees that occur when re-entering the atmosphere. 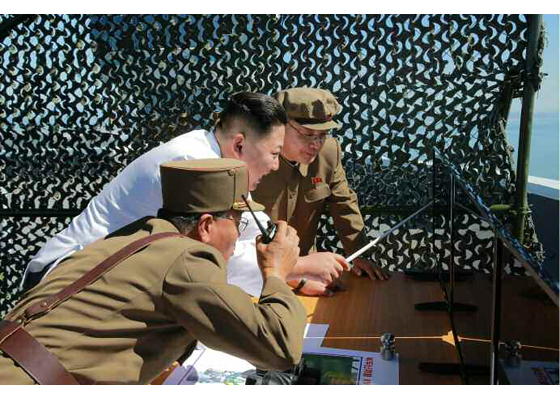 The development of the [Moksong-1] missile is believed to have involved a large number of foreign missile experts. These foreign experts included mid-range missile specialists, rocket engine specialists, and rocket heat-resistant material specialists. In this regard, the Japanese press reported that 30 to 50 engineers from [nation of the former Soviet Union] and former East Germany were secretly involved in the development of [Moksong-1] missiles between 1990 and 1992. The multi-stage carrier rocket and satellite launched by Korean scientists and technicians were developed with local strength, wisdom and technology 100 percent. The first and second rocket stages are made up of liquid rocket engines and the third stage an engine with highly efficient solid fuel. The control mechanism of the rocket is a product of advanced science and technology, including computers. A prototype ICBM was assembled by the end of the 1980s. Two prototype ICBMs were test-fired on May 29, 1993, with one splashing down off Honolulu and the other off Guam. The Kim Jong Il administration gave an advance notice to the US government of the long-range missile test. Steering method: Fins with air vane and graphite jet vanes in the tail section. Following the Soviet and Chinese lineages, the Paektusan uses lattice structure interstage connection. The first stage is connected to the second stage with a lattice structure made of metal bars. It is designed to let exhaust gas from the engine on the second stage to escape as it fires shortly before the separation of the two stages. 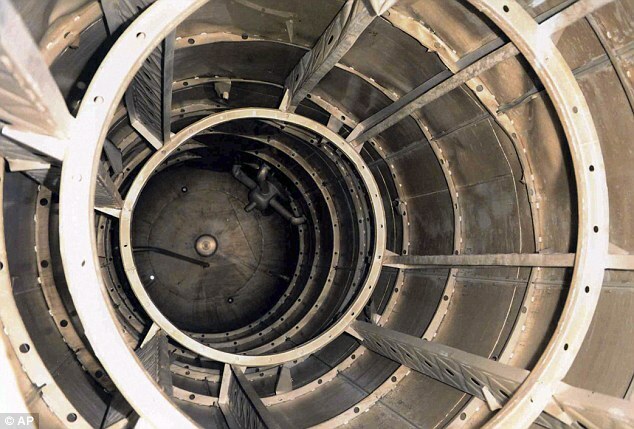 The rocket uses a 'hot separation' method, where the two stages are separated by the impingement of the hot exhaust gas jet from the second-stage engines. 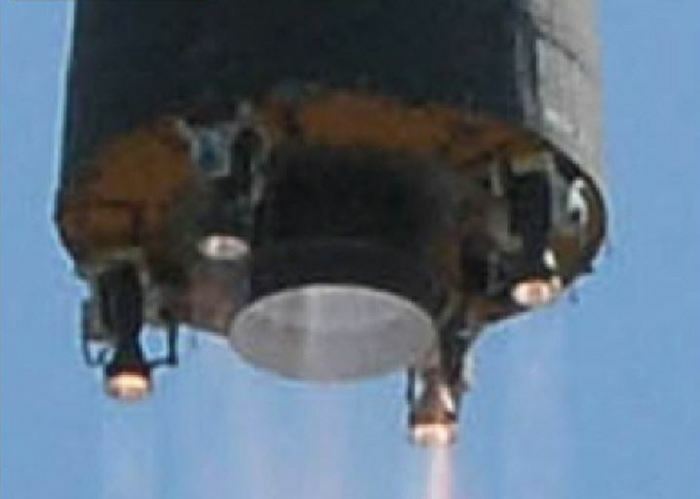 The engines ignite while the two stages are still connected, thus eliminating the need for jettisoning devices to provide the separation impulse and avoiding unpowered flight during the separation. A two-piece payload fairing protects the satellite from aerodynamic forces during flight. 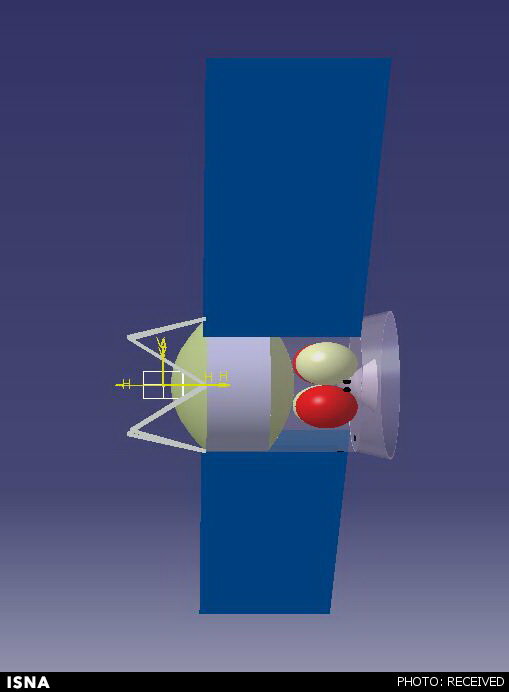 The fairing is connected together by explosive bolts and secured to the third-stage by explosive bolts. 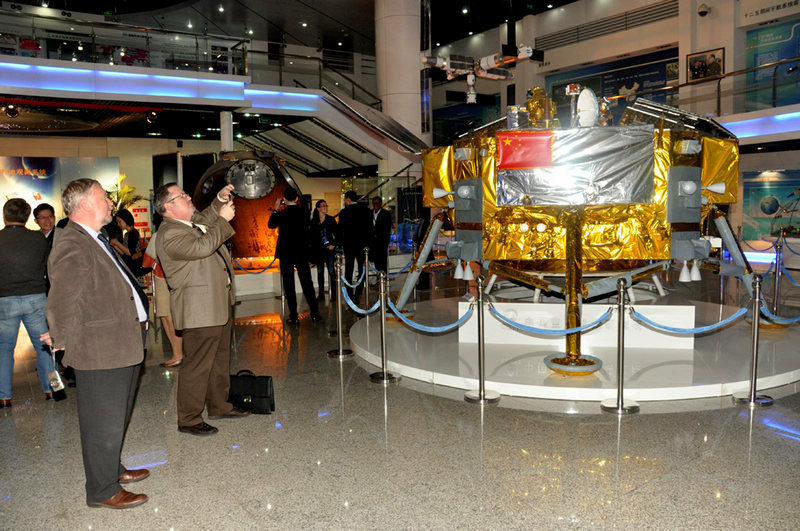 ▲ Model of North Korea's first unsuccessful experimental satellite Kwangmyongsong-1 under its payload shroud as displayed at the Three Revolutions Exhibition Hall. Edited by Soheil, 09 August 2017 - 03:58 AM. Unha is the Korean word for the Milky Way, but also refers to present Supreme Leader Kim Jong Un as a heaven-sent statesman set to lead the ancestral Land of Morning Calm to millennium prosperity. Not to be confused with Unha, a Spanish town belonging to the municipality of Alto Arán, in the Catalan region of the Arán Valley. According to Jane's Defense Weekly, the US reconnaissance satellite first spotted Moksong-2 in February, 1994. 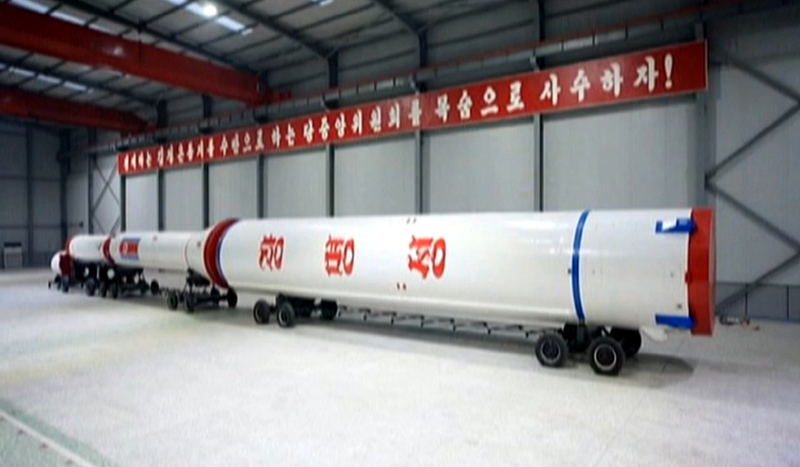 According to Barbara Star, the length of the Moksong-2 that day was 32 m, the first stage's length was 18 m, and its diameter 2.4 m, the second stage's length was 14 m, and its diameter was 1.3 m. The length of the road-moving intercontinental ballistic missile Hwasong-13 was 22 meters. 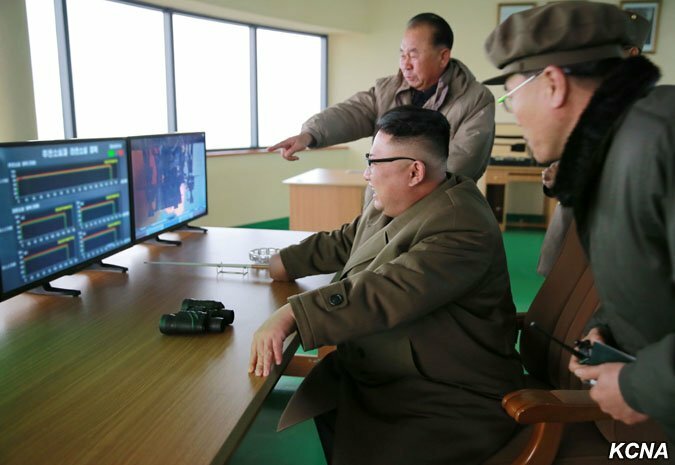 ▲ When the US Reconnaissance Satellite first captured Moksong-2, the US Central Intelligence Agency (CIA) conducted a computer simulation with a Moksong-2 satellite image. 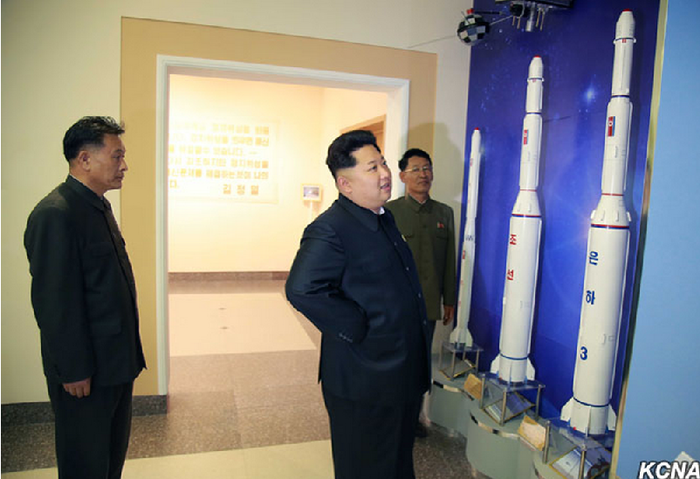 ▲ First, second and third stages of the Unha-3 space launch vehicle model, displayed at the Sci-Tech Complex in Pyongyang, on Apr 18, 2017. 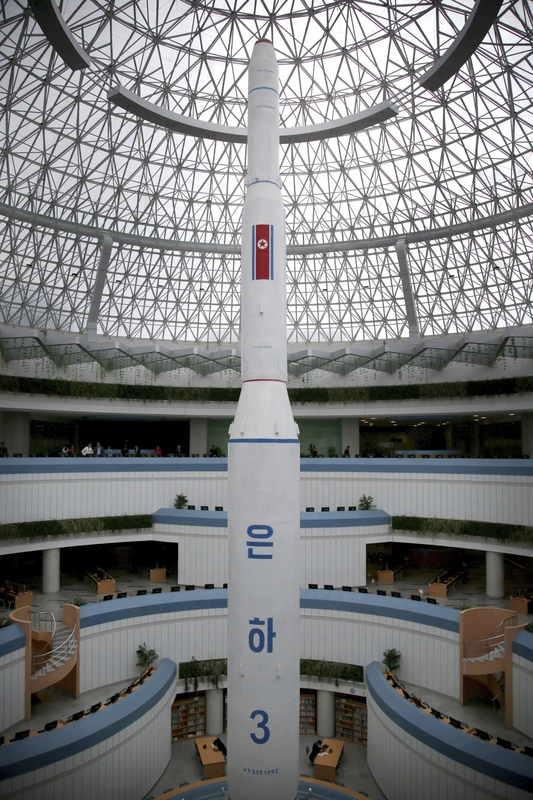 ▲ First stage of the Unha-3 space launch vehicle model, displayed at the Sci-Tech Complex in Pyongyang, on Apr 18, 2017. Edited by Soheil, 09 August 2017 - 03:59 AM. 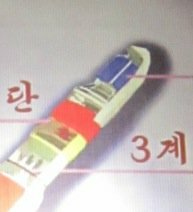 ▲ February 2016 Kwangmyongsong (Unha-4) used to launch Kwangmyongsong-4, bottom view. There are four main engine nozzles, and four auxiliary engine nozzles painted white are arranged at regular intervals. The four main engines are fixed. The four auxiliary vernier engines are designed to move up and down to 36 degrees, controlled by a gyro-stabilized autopilot. 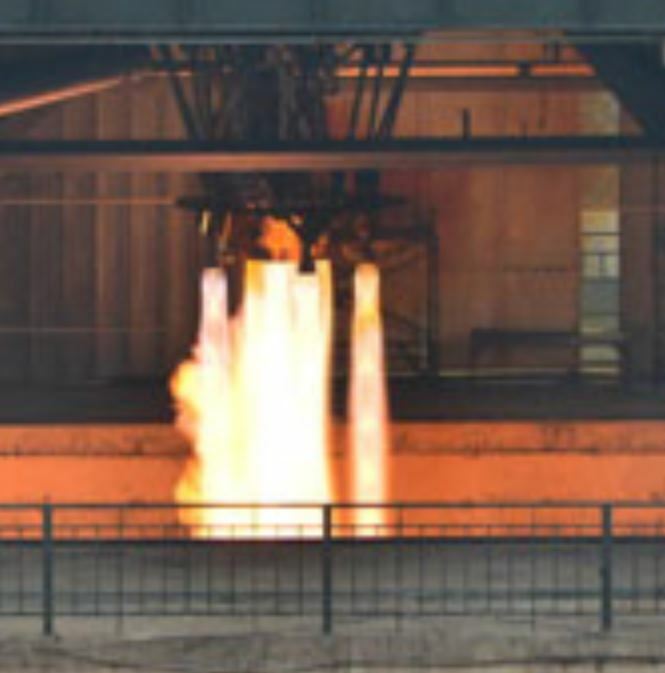 The South Korean Ministry of National Defense estimated the thrust of one single Unha-3-2's main engine launched in 2012 to 27 tons, and the thrust of one single auxiliary vernier engine to 3 tons. 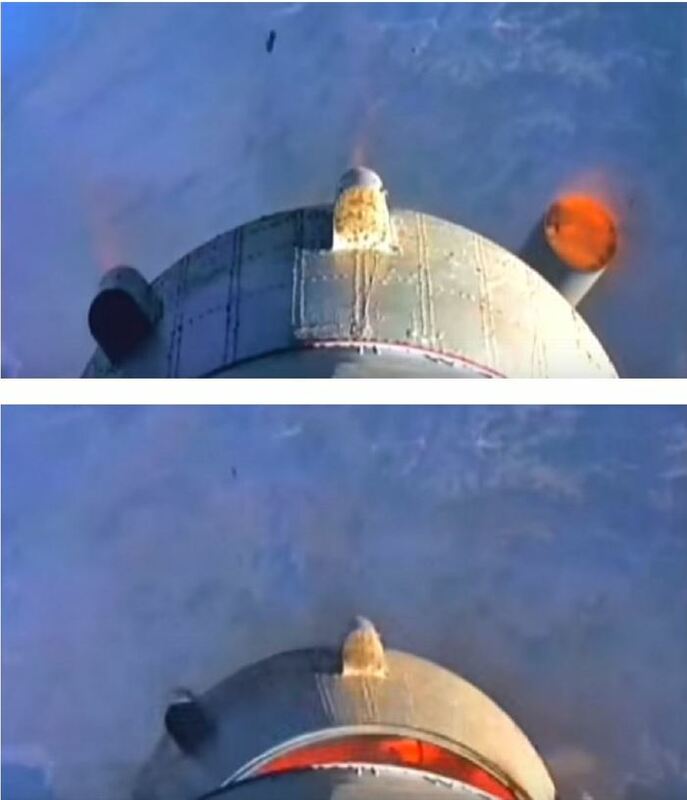 They estimated the thrust of the first stage to 120 tons, the thrust of the second stage to 30 tons, and the thrust of the third stage to less than 10 tons respectively. However, the new Unha LV launched in 2016, is fitted with improved engines developing increased thrust, so the first stage has a thrust of 150 tons, the second stage has a thrust of 50 tons, and the third stage is estimated to produce 20 tons of thrust. Six acceleration motors on the interstage section between stages 1 and 2 are used to boost stage 2, while four braking motors on stage 1 slow it slightly. 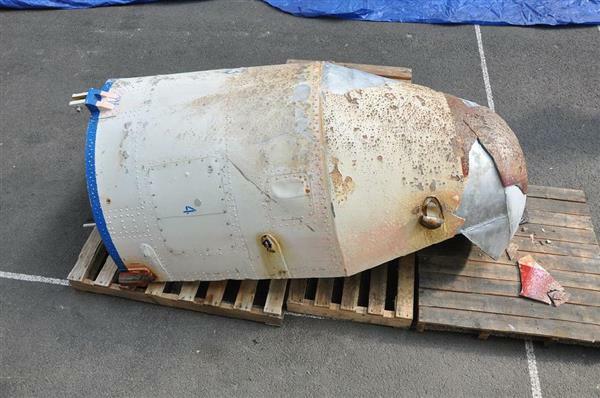 Two days after the lift-off, South Korea's Navy retrieved a large cylindrical fuel tank 7.6 meters long and 2.4 meters in diameter which is believed to be the upper part of the first-stage rocket that also included a fuel tank and a combustion chamber. 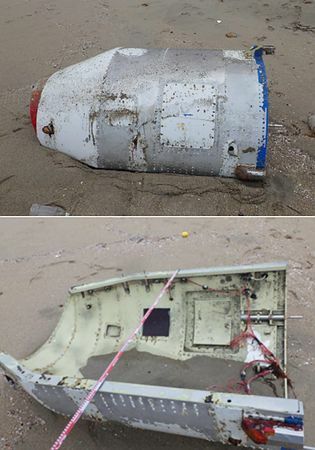 After examining the 3.2-ton wreckage with the sign "Unha" written in Korean on it, a team of 42 South Korean military, rocket and missile experts has concluded that the wreckage is an oxidizer container, which stored red fuming nitric acid, to fuel the rocket's first-stage propellant. 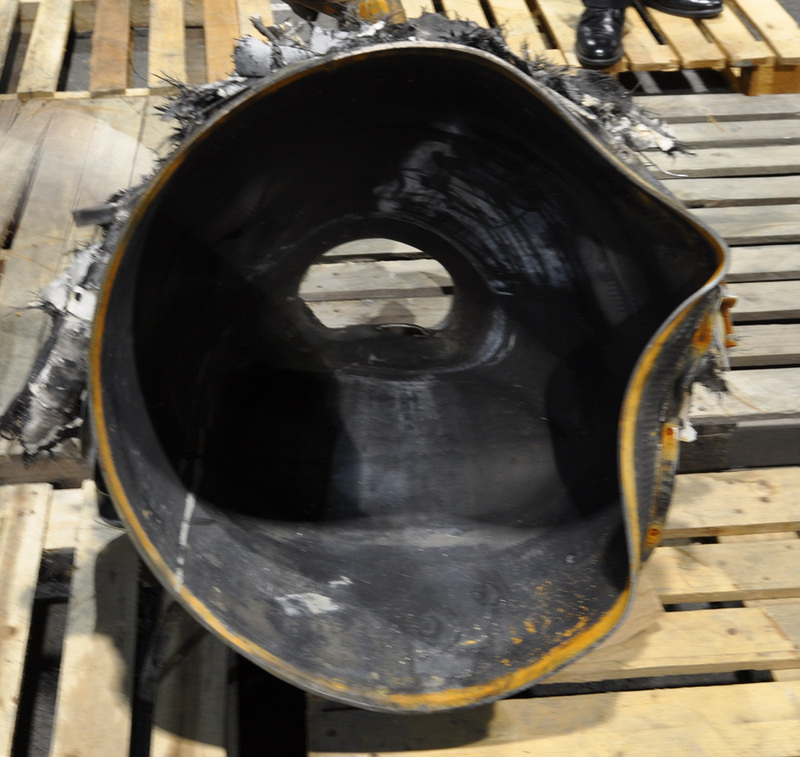 The rocket itself was made of an alloy of aluminum and magnesium, AlMg6, and was equipped with a camera tasked with monitoring engines, a propellant motor and fuel pipelines on its side, according to the report. Poor welding and uneven surface shows that North Korea seems to have no advanced technology in that area, the report said. 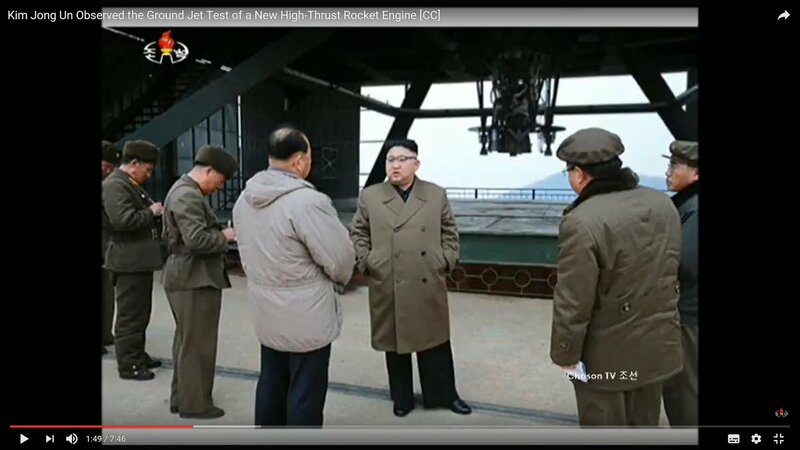 North Korea's rocket engines are connected to turbopumps that are powered by high-temperature high-pressure gas generated when kerosene, which is used in aviation, and nitric acid, which is an oxidizer, are combined. 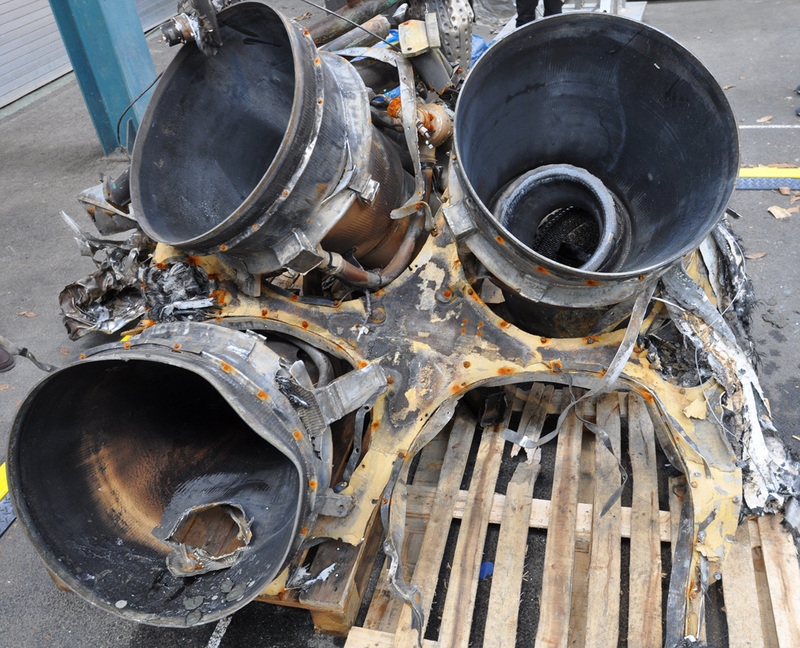 Vernier engine debris from Kwangmyongsong LV's first stage as captured by S. Korea on February 2016, indicates it burnes Red fuming nitric acid (RFNA) / kerosene propellants. 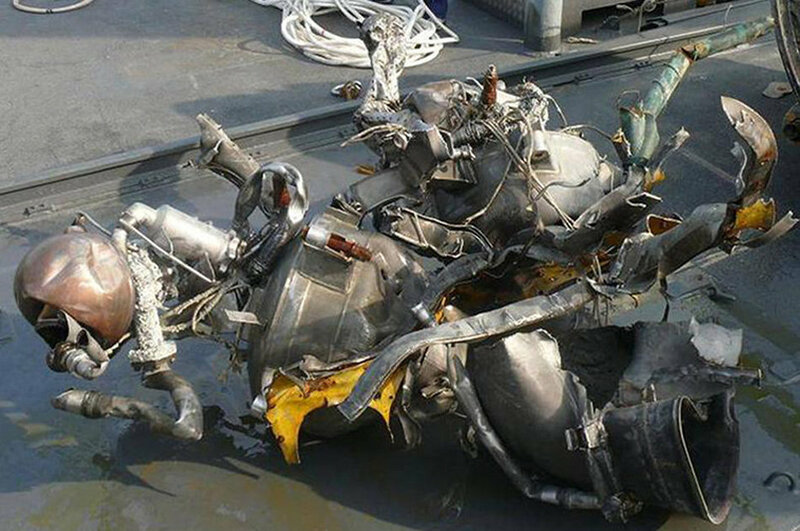 Anti-corrosion fluorine component added to the fuel of Kwangmyongsong LV in February 2016, not present in the 2012 wreckage. 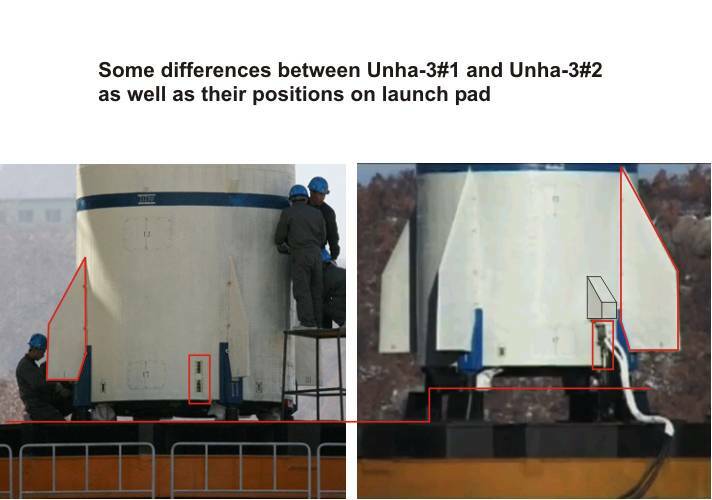 ▲ Some difference between Unha-3-1 and Unha-3-2 first stage engine bay, as well as their position on launch pad. 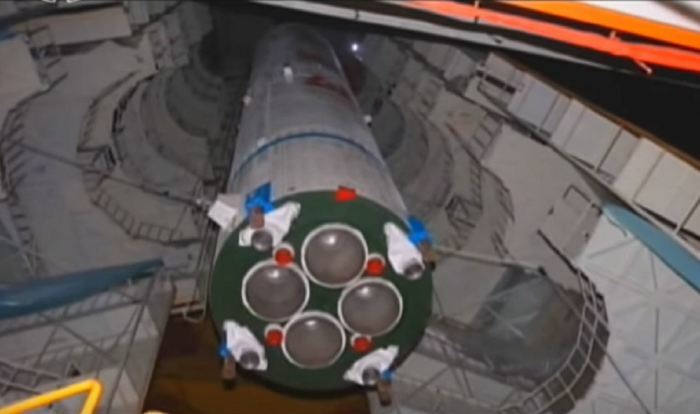 ▲ Unha-3-2 first stage engine bay, and position on launch pad. 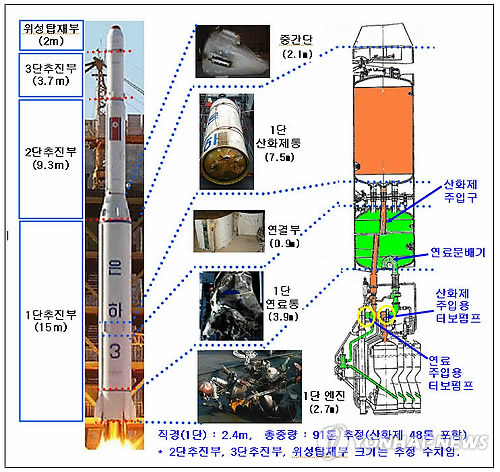 S. Korean estimation: first stage: 15 meters; second stage: 9.3 meters; third stage: 3.7 meters; payload fairings: 2 meters; total lenght: 30 meters, mass: 91 tons. First stage powered by four Moksong-1 main engines, and steered by four verniers. ▲ Part of first stage of Unha-3 as captured by S. Korea on 14 December 2012 at 430 km from launch site, by 80 meters deep: 7.6 meters lenght, 2.4 meters diameter. 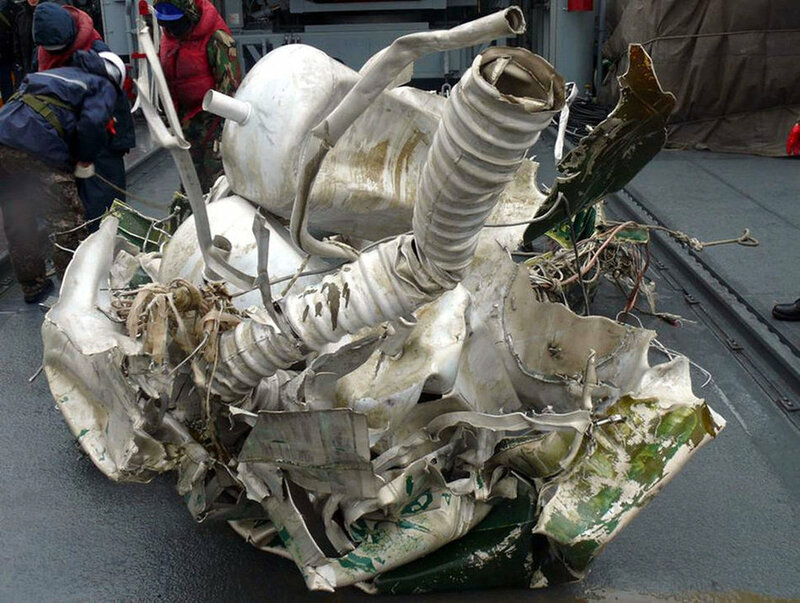 Anti-corrosion fluorine component added to the fuel in February 2016, not present in the 2012 wreckage. Red fuming nitric acid (RFNA) / kerosene propellant vernier engine. Edited by Soheil, 09 August 2017 - 04:00 AM. 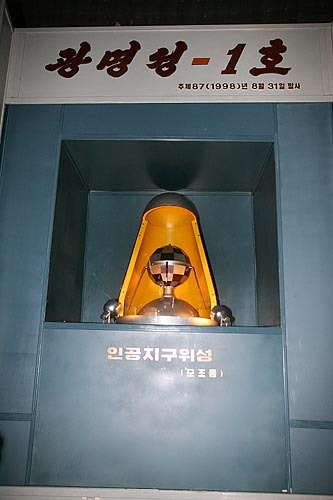 The South Korean Ministry of National Defense estimated the thrust of the Unha-3-2 main engine launched in 2012 to 27 tons, and the thrust of one single auxiliary vernier engine to 3 tons. 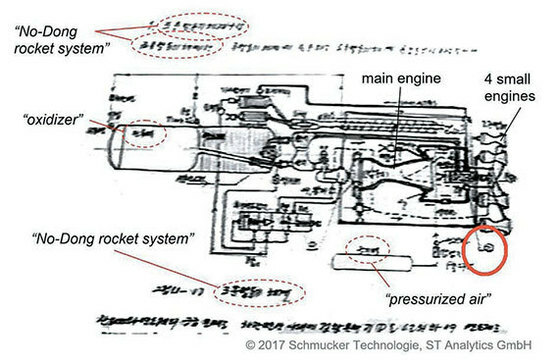 ▲ Other speculations about the Unha-3-2's second stage: "More likely a main engine with 4 verniers"
▲ Schematic showing a rocket stage powered by a new Moksong-1 engine with 4 verniers, taken aboard the North Korean "Kuwol Mountain" cargo ship captured in 1999. 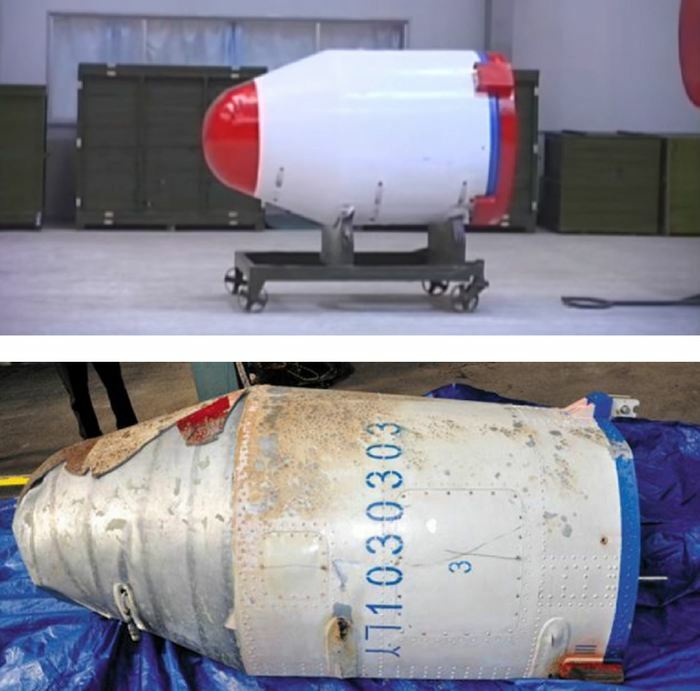 The South Korean Ministry of National Defense estimated the captured payload fairing of the Unha LV used to launched Kwangmyongsong-4 in 2016, to have a a height of 1m95cm, a diameter of 1m25cm. it is estimated that the Kwangmyongsong LV (Unha-4 launched in 2016) has a payload capacity of 1,000kg. In Sohae SLC, when the Unha LV on the mobile transfer structure is moved 150m to the gantry tower, the process of injecting liquid fuel into the first and second stage can start. 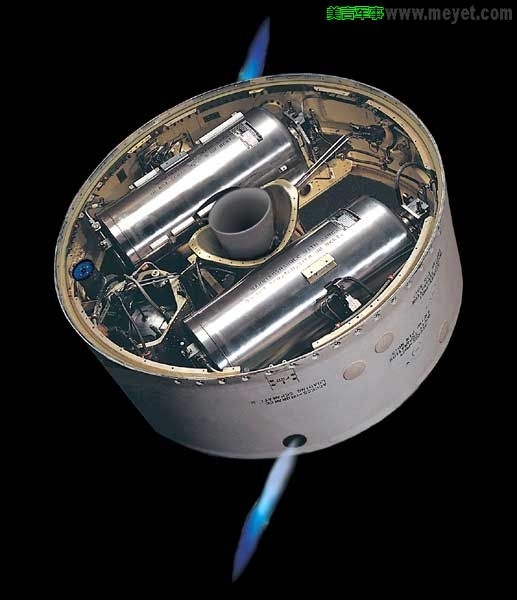 The Unha LV is injected with liquid fuel in the first stage and second stage, and the solid fuel is charged in the third stage. Liquid fuel is injected from an automated underground fuel injection facility. It can be done quickly within 24 hours. Before this modern fueling facility was built, fuel injection took three days. The liquid fuel injected into the Unha LV is divided into propulsion fuel and starting fuel. Propellant fuel is used to propel the Unha LV to earth orbit and starter fuel is used to ignite the rocket engine at launch. The propellant is injected 48 hours before the launch time, and the starter fuel is injected 24 hours before the launch time. Unha LV are launched with low humidity and low wind speed to avoid the danger of malfunction due to the generation of static electricity in various electronic devices installed in the propulsion module. Considering these weather conditions, we set the launch time first, then inject the starter fuel 24 hours before the launch time. All satellites are launched when the sky is sunny. Therefore satellites can receive the maximum amount of solar energy. If the satellite that entered the earth's orbit is flying in the shadow of the earth and can not receive solar energy, it will consume too much electricity of its onboard battery and shorten its service life. In some case, the movable assembly structure can be moved 48 hours after the Unha LV is assembled on the launch pad, meaning that a launch can occur two days after a LV is mounted. Final order to launch a rocket can be issued with a 2 hours notice as in December 12, 2012 (order at 8:00, launch at 10:00). Edited by Soheil, 09 August 2017 - 04:01 AM. "At first, it sounds really easy: Just stick two first stages on as strap-on boosters. How hard can that be?" he said. "But then everything changes. All the loads change, aerodynamics totally change, you've tripled the vibration and acoustics." The loads imparted on the center core during [the KSLV-4] launches will be "crazy," he said, "so we had to redesign the whole center-core airframe. It's not like the [KSLV-3], because it's got to take so much load." In addition, it's impossible to fully test many aspects of the vehicle on the ground, he said. So, while he stressed that he thinks the [KSLV-4] will prove to be "a great vehicle," the initial liftoff could be rocky. 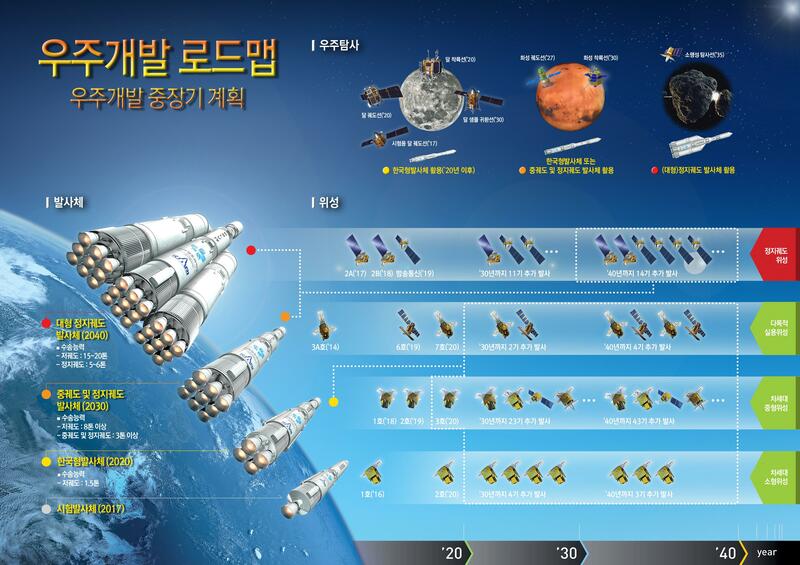 ▲ South Korean road map: KSLV launchers family evolution. 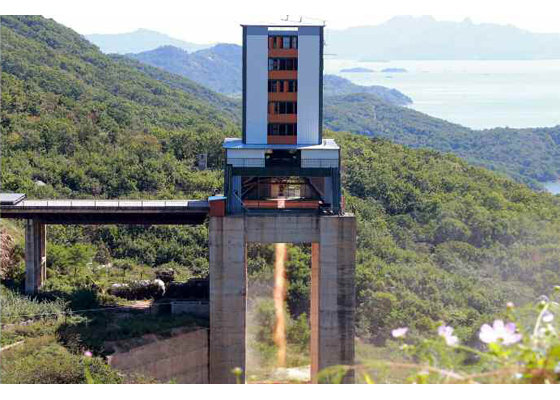 ▲ South Korean 3 stages KSLVII lunar launcher by 2020 (with Naro and Unha-3 LVs). 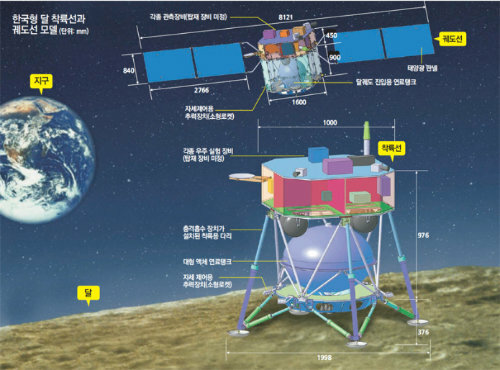 ▲ South Korean road map: Lunar (KLEP), Marsian and Asteroid exploration. 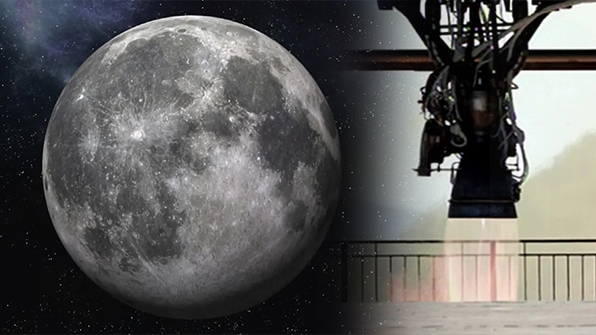 ▲ South Korean Lunar Exploration Program: KLEP lunar lander by 2025, and relay satellite by 2023. Edited by Soheil, 09 August 2017 - 04:02 AM. The first phase of the NKLEP. He said the north is likely to launch a lunar explorer satellite. The second phase of the NKLEP after orbiting. In an interview with The Associated Press, a senior official said that he hopes to see the North Korean flag on the moon within the next 10 years. 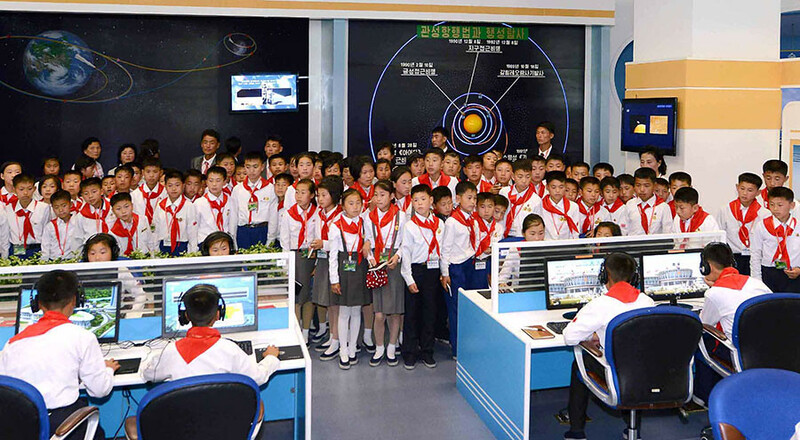 "our aerospace scientists will conquer space and definitely plant the flag of the DPRK on the moon," said Hyon Kwang Il, director of the scientific research department of North Korea's National Aerospace Development Administration. The North Koreans will start designing lunar orbiter and lunar lander immediately after launching a GEO communication satellite as planned in the Second Space Development Five-Year Plan. 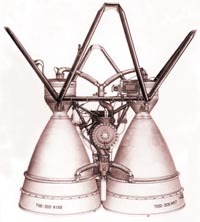 The development and completion of the Paektusan-1 rocket engine was an epoch-making event that advanced the moon exploration plan. North Korea is racing to be in the next 10 years, the 7th nation in the world to land a probe on the moon, after the United States (1966), the Soviet Union (1966), Japan (1990), the European Space Agency (2006), India [Chandrayaan-1's Moon Impact Probe (MIP) crash-landed on the lunar surface on 14 November 2008] and China [On 1 March 2009, Chang'e 1 crashed onto the surface of the Moon]. 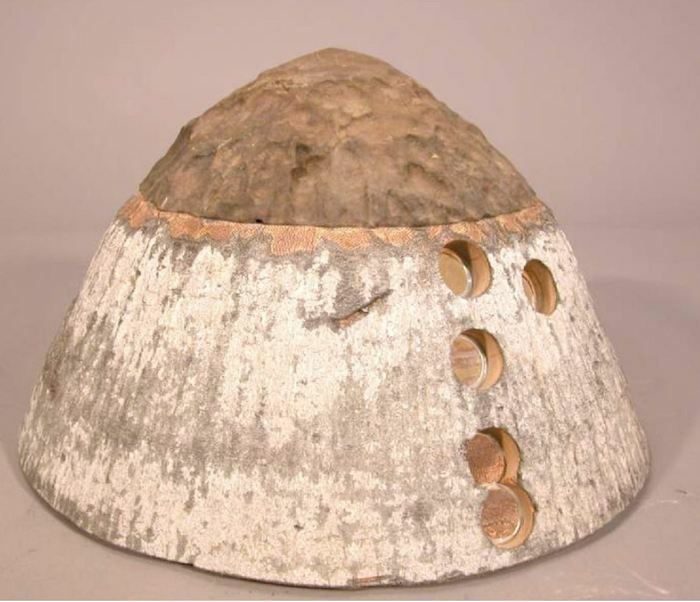 Prerequisite paving the way for any manned moon landing, the third phase of the NKLEP after orbiting and landing would be to return rock samples to the Earth with a robotic probe. 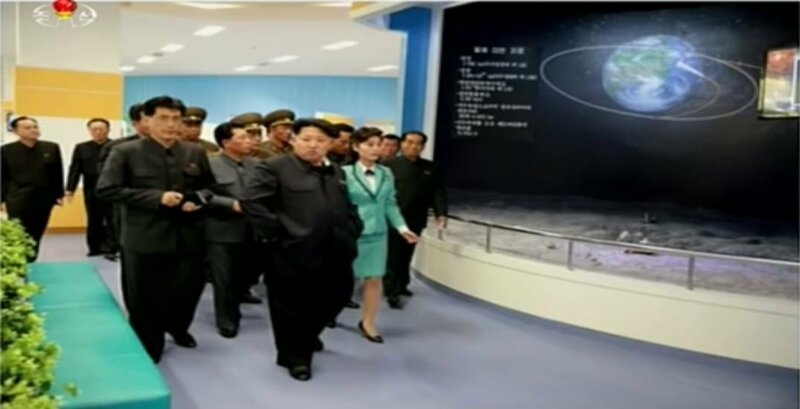 Already hinted back in 2015's Pyongyang Science-Technology Complex. Edited by Soheil, 09 August 2017 - 04:03 AM. Since Nine, the highest single-digit number in base ten, stands for completeness and eternity, many emperors in the ancient China love the number a lot. 'Nine Continents' is used to describe the large territory of an empire. The emperors wore Nine-dragon Imperial Robes, ordered to construct Nine-dragon Walls and other buildings with relationship with number 9 in the imperial palaces, to show their great power, hope for longevity, and eternal reign of their empire. ▲ Ultimate evolution of the Long March space launch vehicle family, the CZ-9, for Moon landing, with 140 T LEO capability. April 15, 2017 CGI. The North Korean Supreme leadership and the number nine. It all started at the time of Korea's liberation from Japanese occupation, when there were eight shamans representing the eight provinces of Korea. Out of these, the strongest shaman was thought to be the one from Pyongan-do. He is said to have told Kim Il Sung that the destiny of his bloodline was aligned with the ninth number, which is considered auspicious in East Asia. Perhaps it was because of this that Kim Il Sung declared the founding date of the Democratic People's Republic of Korea to be 9 September. Although there were five provinces at the time, he increased the number to nine. The Supreme Guard Command, Kim Il Sun's personal bodyguard corps, was named Unit 963 (double nine is an especially lucky combination). The Supreme leadership has its own food chain, also using the number nine. Throughout North Korea you will find so-called No 9 farms and No 9 work details, specially assigned by the central party's financial administration department. Their produce is used to feed the supreme leadership, and these meals are called No 9 products. Kim Jong Il is said to have repeatedly stressed the fact that his birthday fell on 16 February (1+6+2=9). He decreed that the numberplates of his vehicles should read 2.16; and then, so as to disguise his personal vehicles, assigned this as a common numberplate for all of North Korea's inner elite. Kim Jong Il was appointed to the highest military post on 24 December (2+4+1+2=9). His appointment as party secretary, which effectively formalised his powers, was made three years and three months after the death of his father, Kim Il Sung. Applying this to recent North Korean history, we note that Kim Jong Il gave his son, Kim Jong Un, his first public role as general of the Korean People's Army on 27 September 2010 (2+7=9, plus the 9th month, equals double nine). 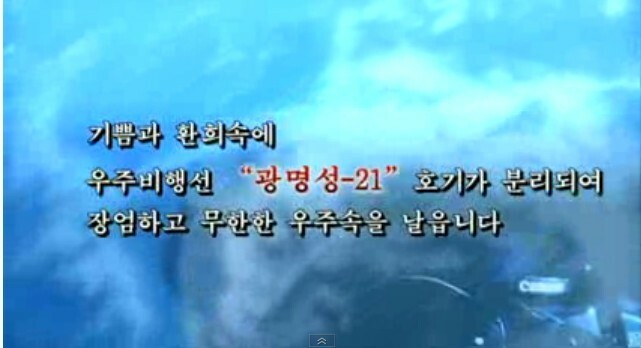 On 11 April (20)12 (1+1+4+1+2=9) Kim Jong Un was appointed first secretary of the Korean Workers' party. Then on 18 July 2012, he was appointed to the rank of marshal. When North Korea makes international news with an impending rocket launch or nuclear test, outside analysts often cite recent birthdays of the Kims, or other state anniversaries, as influencing the choice of date. But a closer look suggests it has more to do with the number nine. The country's first nuclear test took place on 9 October 2006. The second space launch was on 5 April 2009 (5+4=9 and nine of 2009, double nine). Another one was successfully launched on 12 December 2012 (1+2+1+2+1+2=9). There was a nuclear test on 12 February (20)13 (1+2+2+1+3=9). 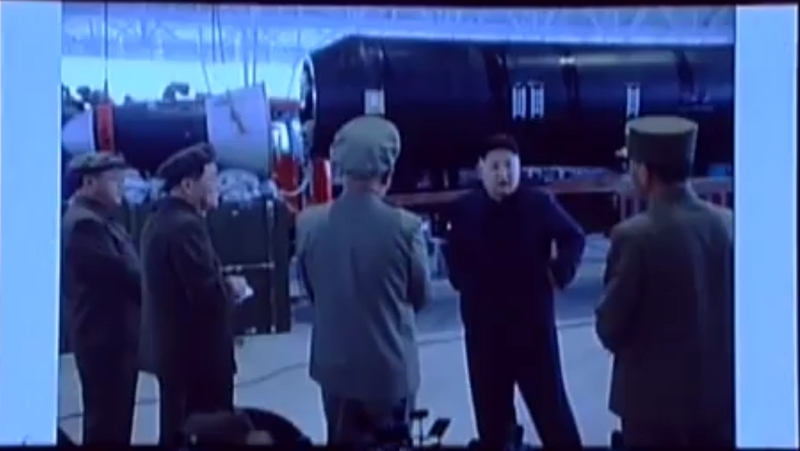 A recent North Korean video released on YouTube, in which the first North Korean manned spaceship is launched, features a rocket labelled Unha-9. 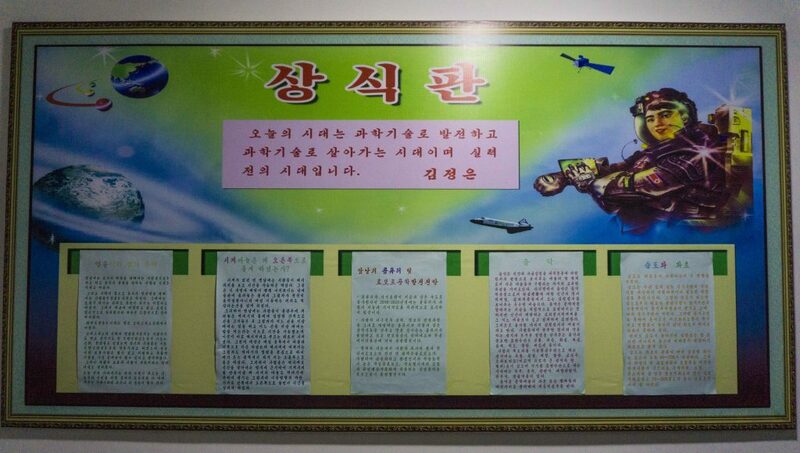 ▲ Unha-9 as depicted in the lobby of the Koryo Hotel in Pyongyang back in October 2013. 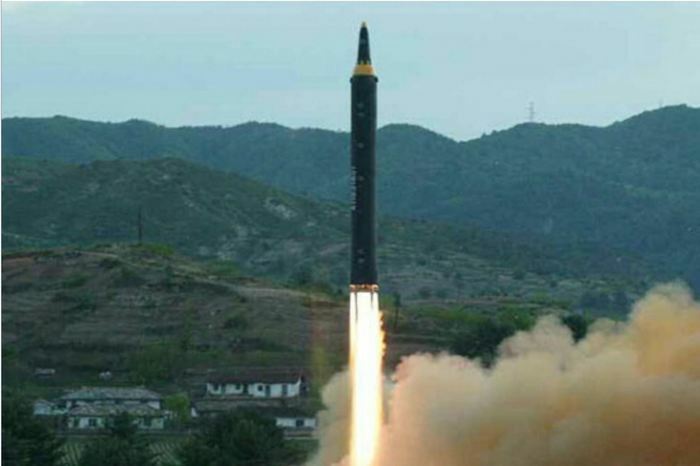 North Korea attempted to unveil a "new type intercontinental ballistic missile" called "Taepodong-X" [in the US] along with a "medium-range missile with unknown name" [called Hwasong-10] on September 9, 2003, and abruptly withdrew it immediately before the military march began. 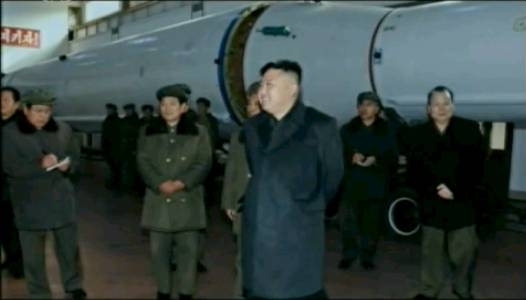 According to a report on April 3, 2012, the US reconnaissance satellite captured a very large missile with a length of 40 meters, which is much larger than the Moksong-2 (목성-2호, 木星-2號: Jupiter-2) in North Korea, according to the South Korean government sources. 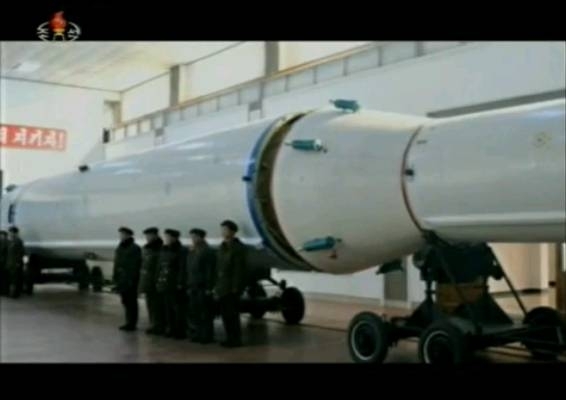 The super-sized missile seems to be the Moksong-3 (목성-3호, 木星-3號: Jupiter-3). The difference between the Moksong-2 and Moksong-3 missiles, both intercontinental ballistic missiles with the same range of 15,000 km, is that they are equipped with single or multiple warheads. In other words, Moksong-2 is a single warhead type, and Moksong-3 is a multiple warhead type. 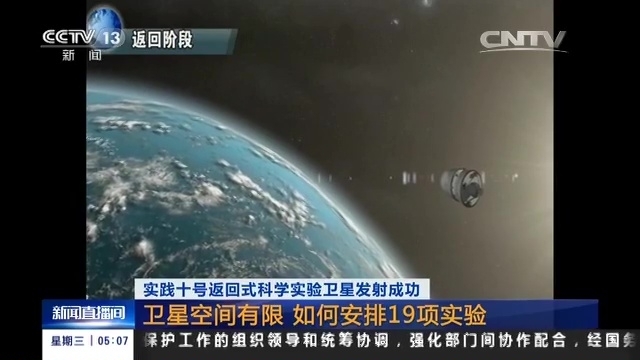 <Chosun Shinbo> According to the news on April 14, 2012, the Korean Space and Space Technology Committee has begun the five-year plan for space development started in 2012, and will launch an GEO earth observation satellite within five years. 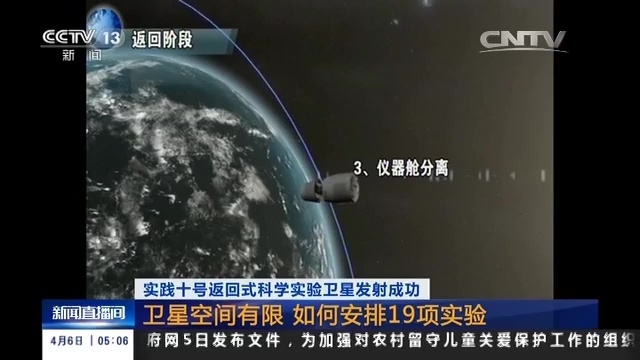 Needless to say, it is expected to develop a larger satellite-carrying rocket, much larger than the Unha-3, to launch geosynchronous satellites. The geostationary earth orbit is 35,786 km far away from the equator so it is much larger and stronger than the Unha-3, which is launched toward the sun-synchronous orbit at 500 km above the earth. 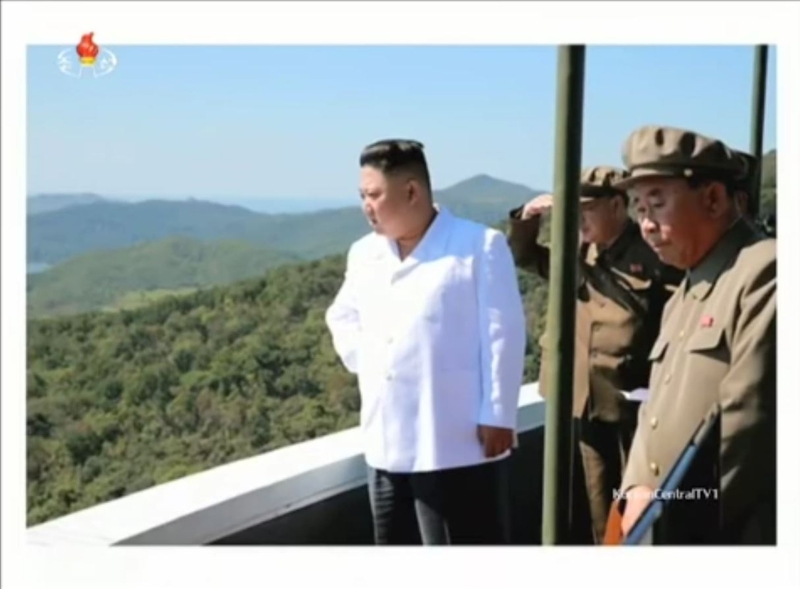 According to a report by the South Korean government sources, the Chosun Ilbo reported on April 3, 2012 that a large long-range missile with a 40-meter-long has been spotted by US military reconnaissance satellite, located at the Missile Factory in Pyongyang. The 'long-range missile' they are referring to is a satellite carrying rocket, and the 'missile factory' they are referring to is a satellite carrying rocket assembly plant. The report above tells us that North Korea has already produced a large satellite-carrying rocket that will launch a geostationary satellite. The North Korean lunar exploration program will use a new Unha-9 launcher, made of three stages, exceeding 40 meters total long. 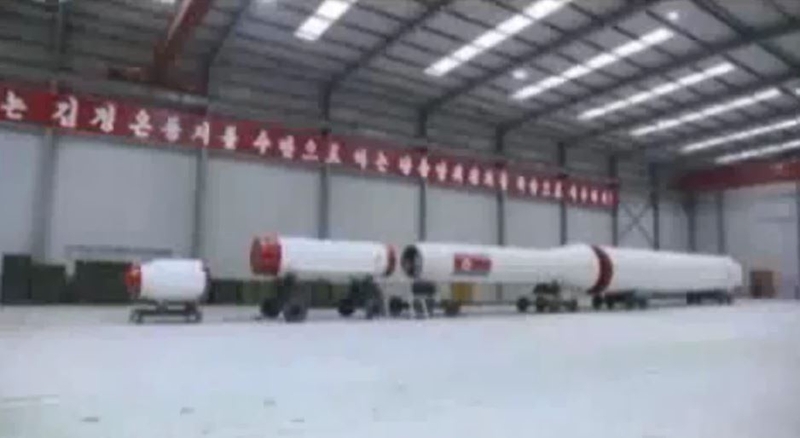 The first stage diameter will be about 3 meters. 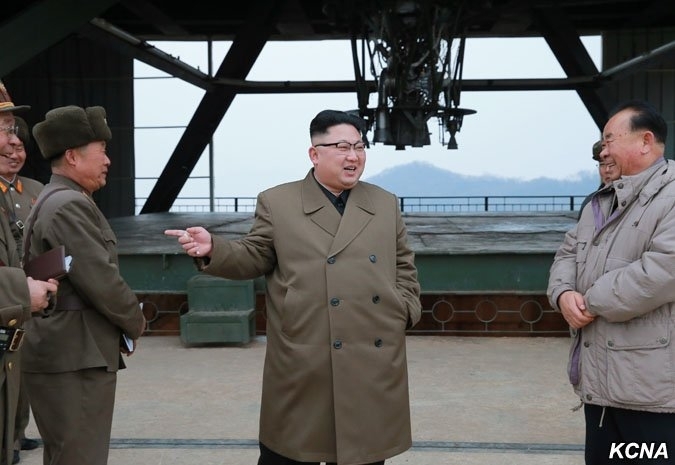 "I am not at liberty to discuss the timing and number of attempts, but North Korea conducted at least two engine combustion tests during the first half of this year," the official said. 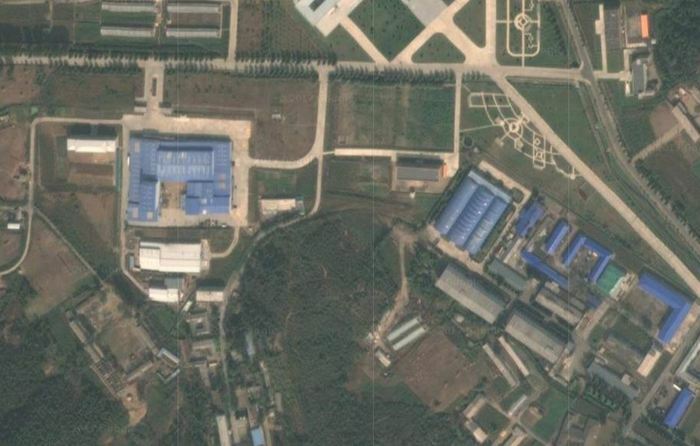 "Taking into account the scope of the tests, the new rocket will be larger than Unha-3"
The South Korean intelligence authorities said the rocket engine tests took place at an arms research institute in Sanum-dong of Ryongsong District in northern Pyongyang and the Tongchang-ri Space Launch Facility near the Chinese border. 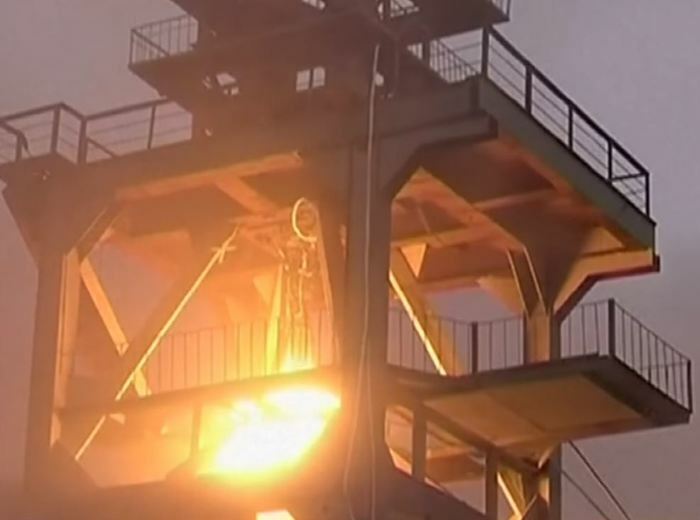 An engine combustion test takes place on the ground to confirm the operation of a booster for a rocket, and the International Institute for Strategic Studies had earlier said the North conducted four engine combustion tests last year. 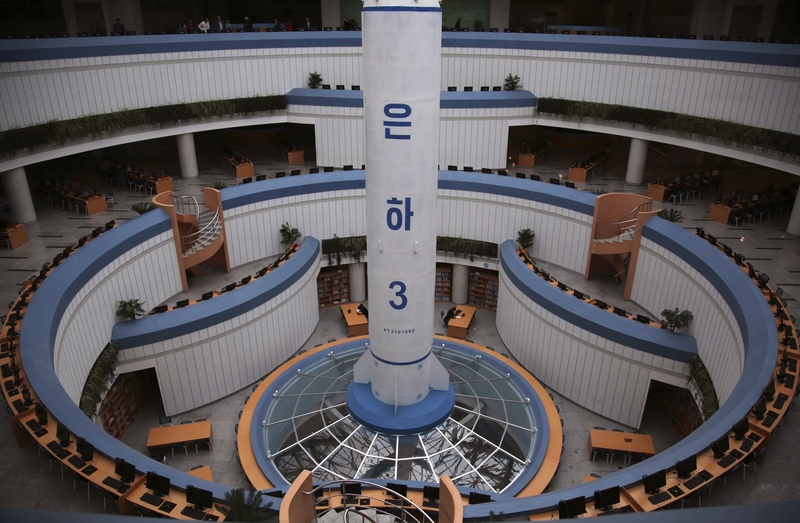 South Korean authorities suspect North Korea is preparing a launch of a rocket upgraded from the Unha-3. 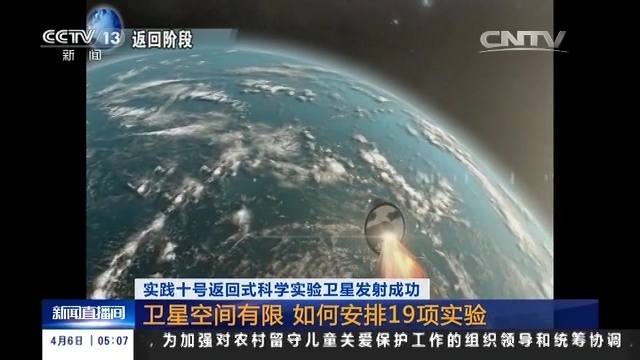 After its successful launch of the Unha-3, the state media said the country would continue to bolster its capability by building more rockets under the slogan, "Go for Unha-9 at one burst!" 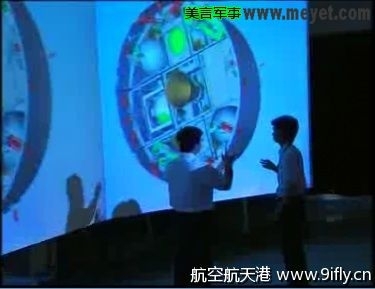 Photos of a model of the Unha-9 were featured in the North's state-run newspaper. 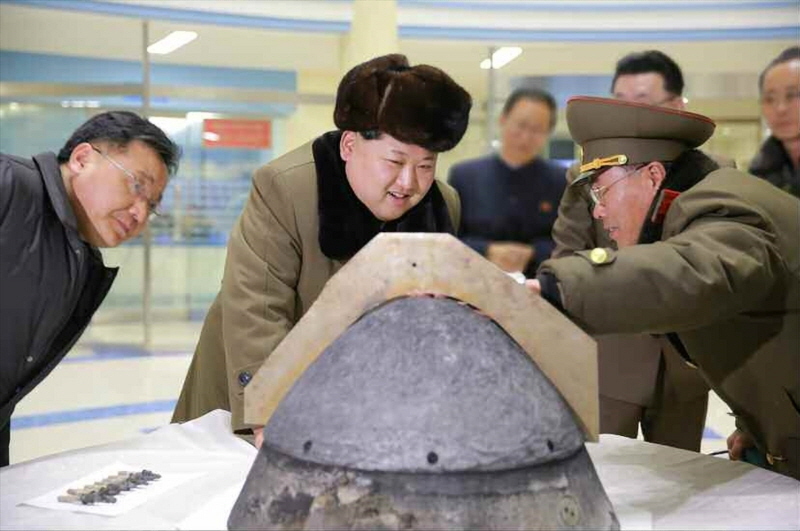 North Korea carried out at least one test of a rocket engine in early August. In satellite photos taken late last week, scorch marks measuring 60 m in length and 27 m in width were spotted south of the launch pad at the site's vertical engine test stand. A photo of the same location taken last month showed the area covered with foliage. Extensive new construction work is under way at the facility, with new buildings likely holding rocket fuel and oxidiser future tests. 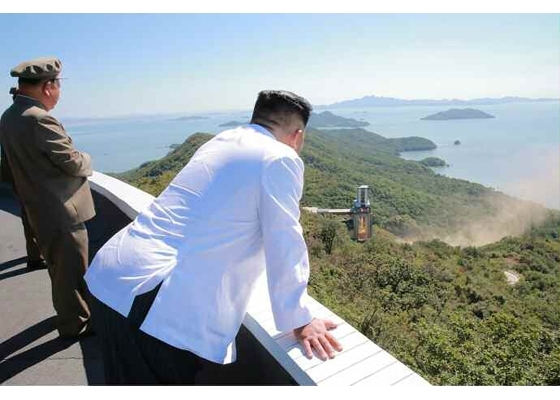 "When complete, they will provide more than double the storage capacity of the existing structures, suggesting that the North Koreans are developing a capability to test larger, more capable engines". 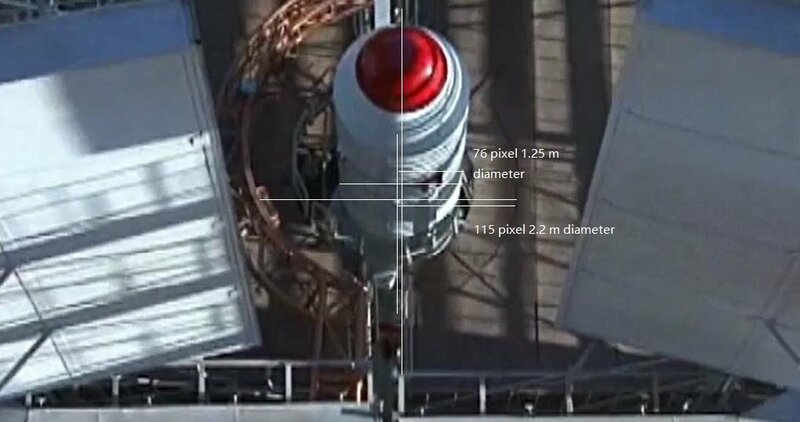 ▲ Speculations on a 2.2 meters diameter second stage of a future LV's through photogrammetric measurements of the vertical gantry tower from video of February 2016 Kwangmyongsong (Unha-4) used to launch Kwangmyongsong-4. ▲ Speculations on a 2.2 meters diameter second stage of a future LV through photogrammetric measurements of the vertical gantry tower from video of February 2016 Kwangmyongsong (Unha-4) used to launch Kwangmyongsong-4. ▲ April 15, 2017 picture. Center: notice an Unha-3 represented left of a huge (meaning at least twice the size) Unha-9 model! 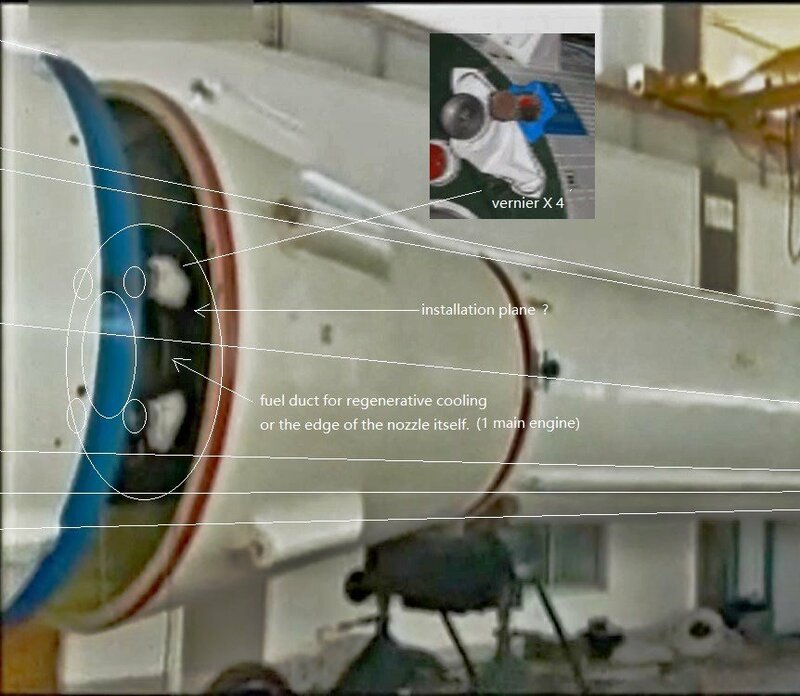 Conclusion this artistic representation suggests a ~3 meters diameter first stage and ~2 meters diameter third stage, perfectly fitting the previous assessments for the Unha-9. 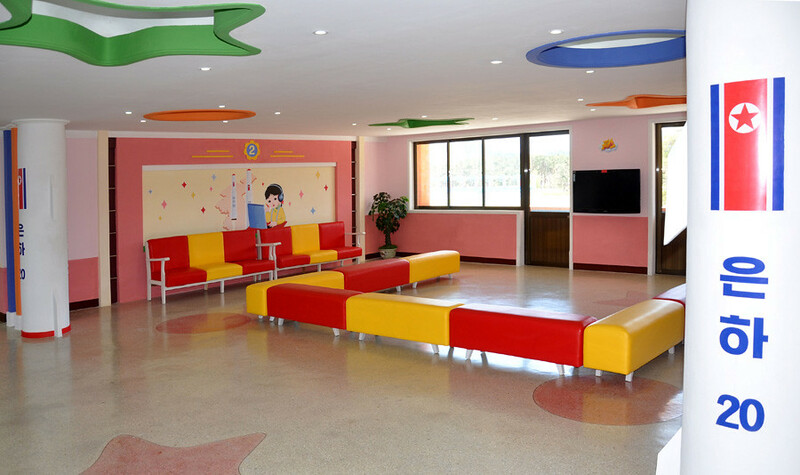 ▲ Left: Pukguksong-1; Center: Unha-3; Right: Unha-9. There is no big difference between the height of the Unha-3 and the height of Unha-9. Instead, the diameters are different. 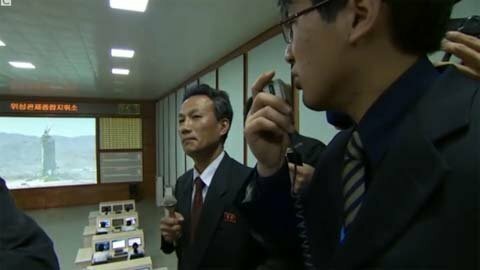 Hyon Kwang Il, director of the scientific research department of North Korea's National Aerospace Development Administration,... said that North Korea also intends "to do manned spaceflight and scientific experiments in space, make a flight to the moon and moon exploration and also exploration to other planets." First hint for a Mars exploration program in a March 9, 2017 video. Very brief, last second sequence. ▲ At T=2m21s: the Moon and at T=2m22s: Mars as next destination. Edited by Soheil, 09 August 2017 - 04:04 AM. 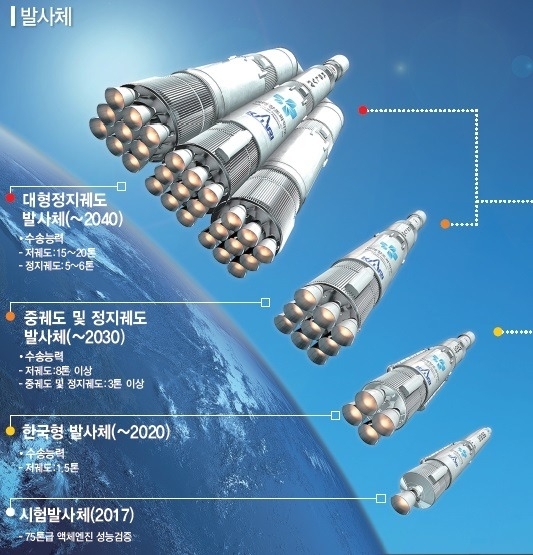 Very premature speculative assessment on the future CZ-5-class North Korean heavy launcher, able to put 20 tons in LEO, to land a probe on the Moon and return rock samples, to reach Mars and beyond. Hinted for the first time in circa April 15, 2017. Assuming that "20" refers to 20 tons payload. Taking into consideration that the Kwangmyongsong-21 had previously been associated with some manned space shuttle back in February 2013. 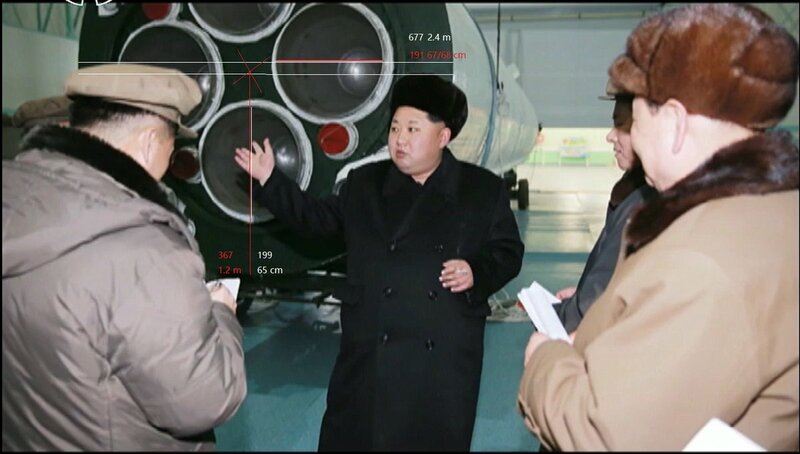 Claiming that a heavy launcher's core booster could be 9 meters in diameter simply doesn't take into consideration that North Korea's rail delivery from the rocket factory to the launch center, limits the absolute maximum diameter to ~ 4 meters. Thus the need to cluster several boosters in parallel, in order to increase the total first stage thrust. 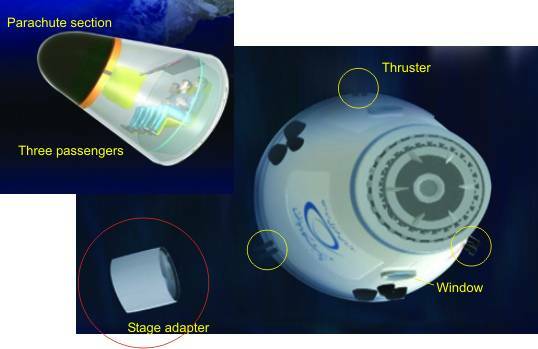 To overcome this diameter upper limit, an alternative strategy would be to develop delivery by sea, since both Sohae SLC and Tonghae SLC are built with a seashore, thus unlocking larger diameters of 5 meters core boosters. ▲ April 15, 2017 picture. 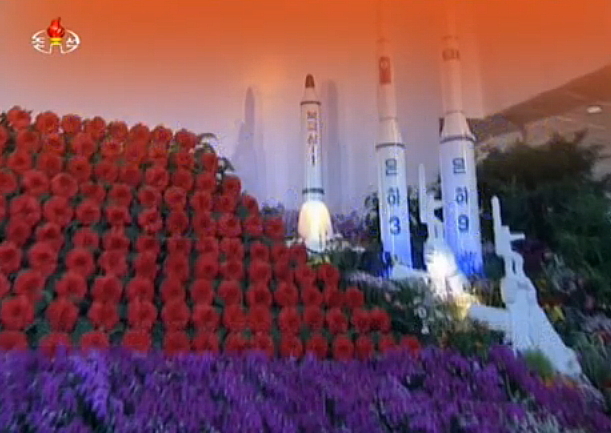 Left and Right: pillars decorated as Unha-20 launchers, easily dwarfing the Unha-3 and Unha-9 painted on the wall! Numerological Analysis by Master S☫heil from Sohae, DPRK. 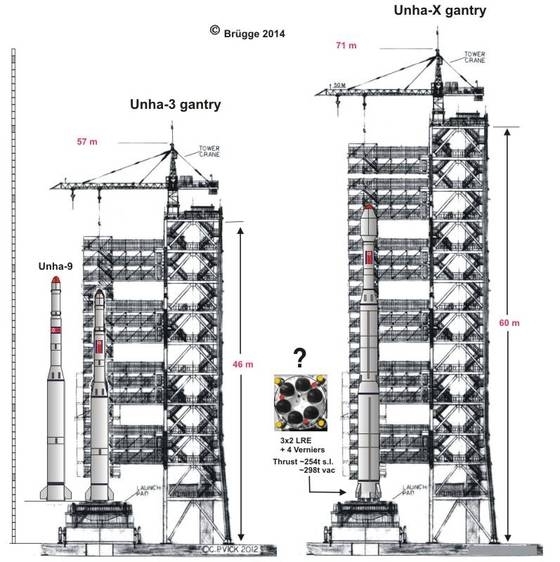 The first lucky number is already assigned to the future lunar exploration rocket Unha-9, with a lift-off mass of ~200t, a lift-off thrust of ~4 x 80tf and a LEO payload capacity of ~2t @500km. 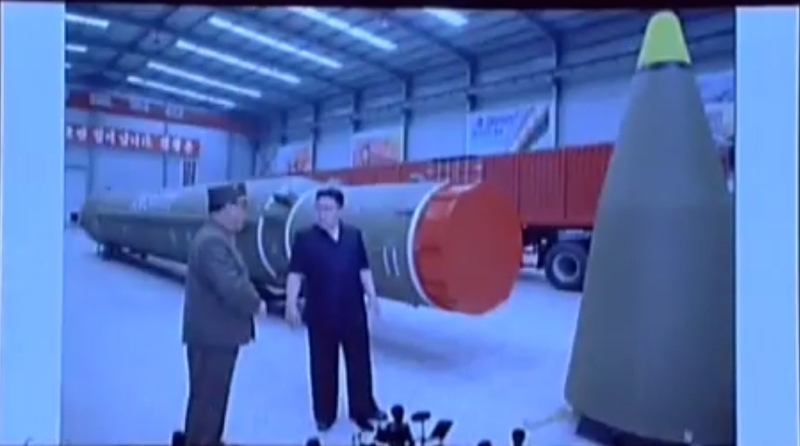 The next known North Korean launcher is designated Unha-20, with a LEO payload capacity of ~20t. Any manned launcher would need increased reliability thus, extra luck. The next lucky number after 9 and before 20 is 18 (1+8=9). Therefore any manned launcher could safely be named Unha-18, thus providing extra safety to all future crews! The Second Space Development Five-Year Plan starting in 2017, will see more advanced space developments. 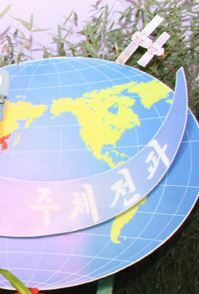 In April 8, 2012, the general manager of Sohae SLC declared that North Korea "will launch a geostationary satellite in the near future", and that North Korea "will launch manned spacecrafts". To this end, Sohae was also designed to support very large 400t-class rockets. 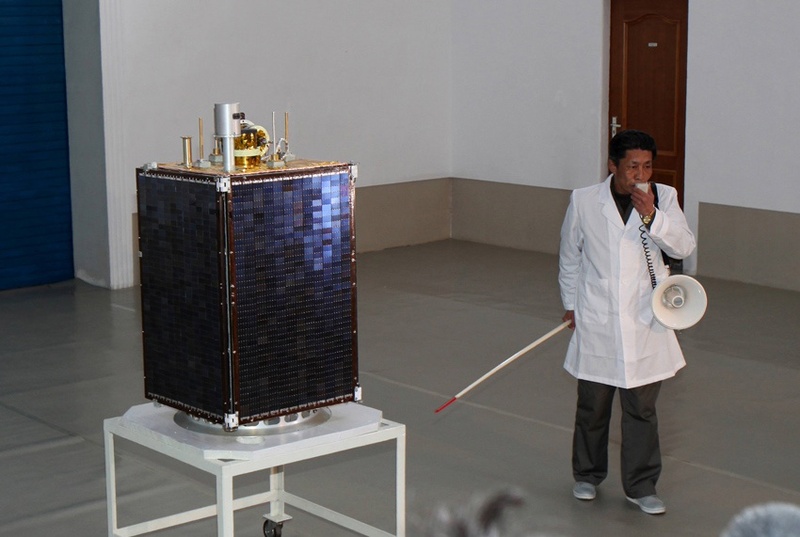 The Iranian satellite carrier Safir-2A is the first version of Safir-2 with the name of Simorgh [Korean name: Unha]. Its length is 26 m, its diameter is around 2.5m and its mass is around 86 tons. 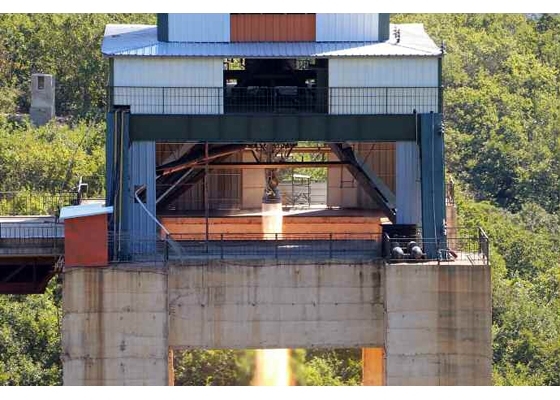 Its thrust is around 143 tons. It can put 100 kg satellites into 500 km altitude orbits. The next step is Safir-3A or Sepehr and Safir-3B or Sarir that can put 1,000 kg satellites into 1,000km altitude orbits. By adding micro thrusters and several side boosters, the Sarir heavy launcher can put payloads into 36,000 km altitude orbits. It is expected to be build during the fifth development program of the country. Source: "Sorayya" weekly TV program, 90 MB in 3gp format and around 70 minutes. 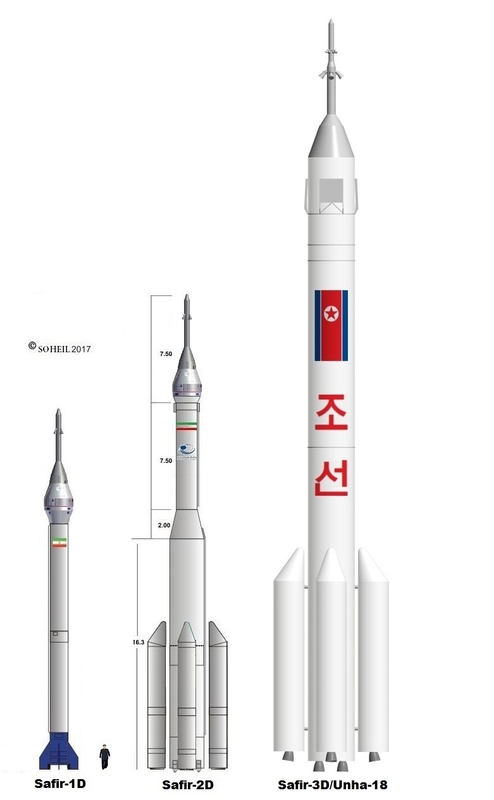 ▲ Artistic conception of a larger North Korean rocket, unknown creation date, published on the internet circa before April 2012. Picture from 2009 Arirang Mass Games showing probably for the first time ever an unknown uprated launcher with four strap-on rocket boosters! Seemingly a future man-rated heavy launcher, as a launch abort escape tower is clearly visible atop the launcher. The length of the strap-on rocket boosters are less than a third of the total rocket length. Rocket possibly made of 3 stages; alternately made of two stages plus a manned spacecraft with Re-entry Vehicle, Service Module and Orbital Module in shroud. In a nutshell, this new launcher might be very similar in conception and performance with the Chinese CZ-2F. 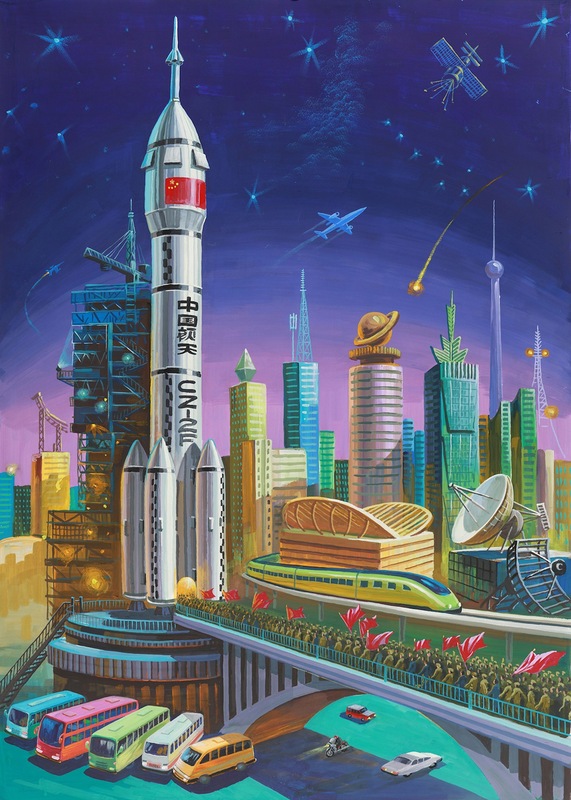 ▲ Korean artistic depiction of Chinese spaceflight as a role model, circa before 2008. ▲ 04 Feb 2013. From Uriminzokkiri video chanel, "Riding Unha-9"
▲ 04 Feb 2013. 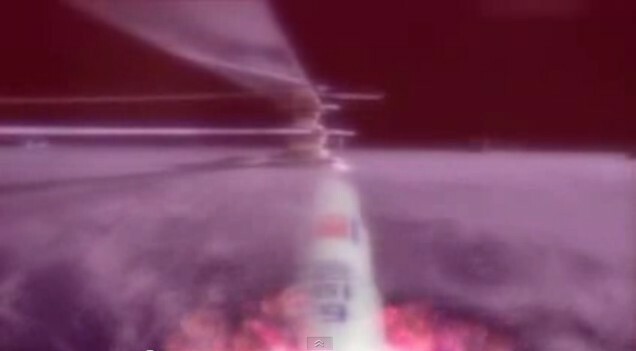 From Uriminzokkiri video chanel, "Unha-9 LV and Kwangmyongsong-21 spaceship separation"
04 Feb 2013. 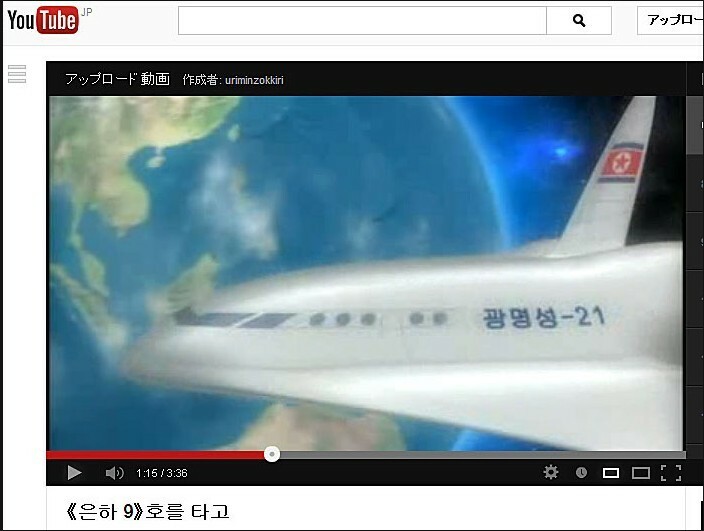 From Uriminzokkiri video chanel, "Kwangmyongsong-21 spaceship "
▲ Starting from 2013, generic depiction of North Korean [future] launcher widely spread in Chinese media. 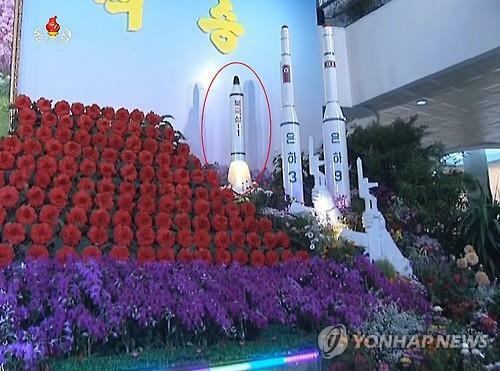 ▲ Screen capture from Arirang Mass Games 2013, emphasising new rocket evolutionary path, toward horizontal parallel clustering of strap-on boosters, in opposition with all previous mediatic representations of longilineal rockets, made only of vertically stacked stages. 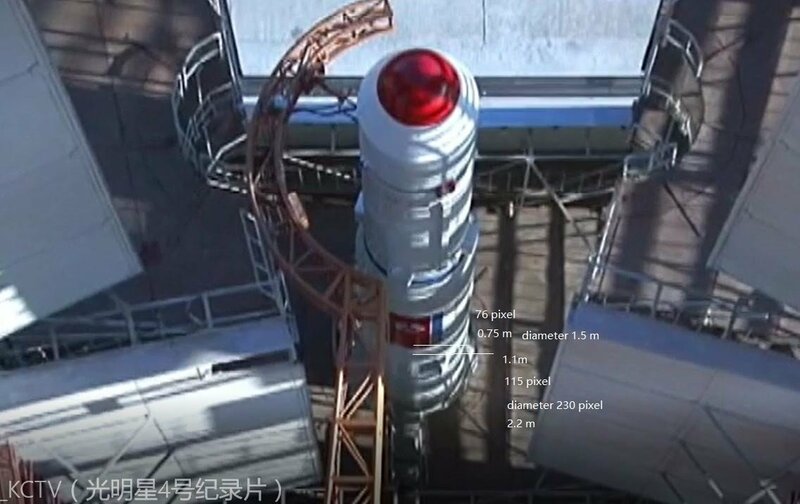 Very stylized shorter and thickset 2 stages launcher, with 4 strap-on boosters, thus consistent with previous assessment on a Chinese CZ-2F-type convergent evolution. 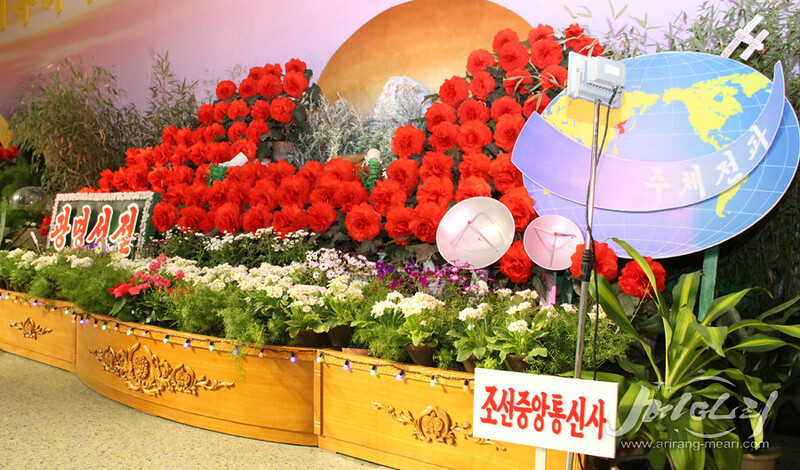 ▲ June 2 (KCNA) -- A national exhibition of children's science fictions and models-2017 opened with due ceremony at the Sci-Tech Complex on Friday to mark the 71st anniversary of the Korean Children's Union. 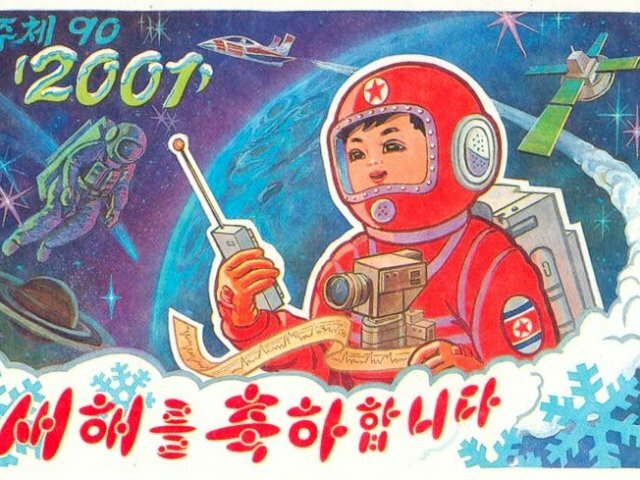 Left poster: Flying along a Korean astronaut, another rocket with 4 smaller side boosters attached to the main core booster, as depicted for childrens. ▲ At T=0m41s: rocket with 4 smaller side boosters. 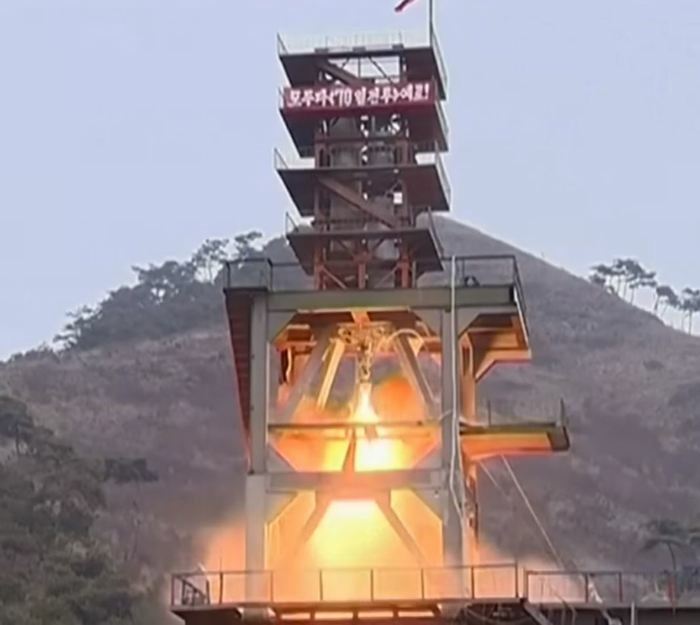 Since North Korea has mastered technologies for developing rocket for a long time, it will not be difficult to build a powerful rocket by attaching to the rocket's first stage, four strap-on boosters powered by four Paektusan-1 liquid fuel engines. 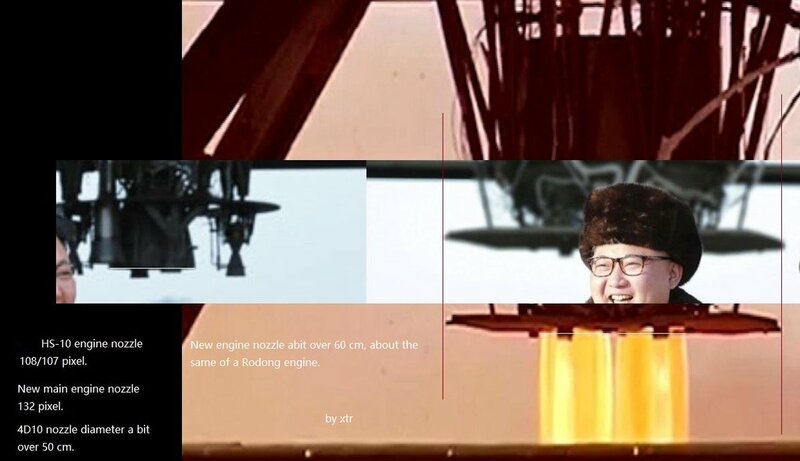 North Korea will be able to complete such a powerful rocket in the next few months. A man-rated Safir-1D could be a further development of the Safir-1 class, by increasing its reliability through the addition of redundancy of various critical sub-systems. A Safir-2D could be based on the Safir-2A first stage core, powered by four 37 tons thrust liquid fuel engines and 4 vernier engines. An addition of a total of four 37 tons thrust strap-on boosters would double its lift-off thrust. 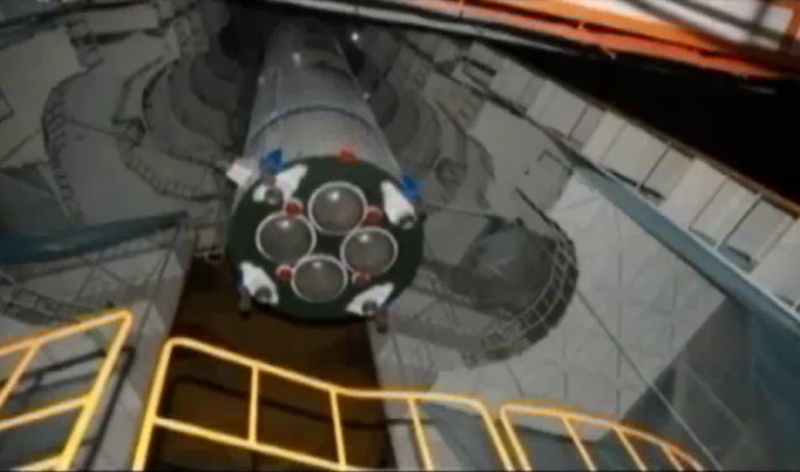 Each strap-on booster might be powered by a single liquid fuel Shahab-3/Moksong-1 uprated engine of 37-tons thrust. A Safir-3D could be based on the Safir-3A first stage core, powered by four 80 tons thrust Paektusan-1 liquid fuel engines and 4 vernier engines. 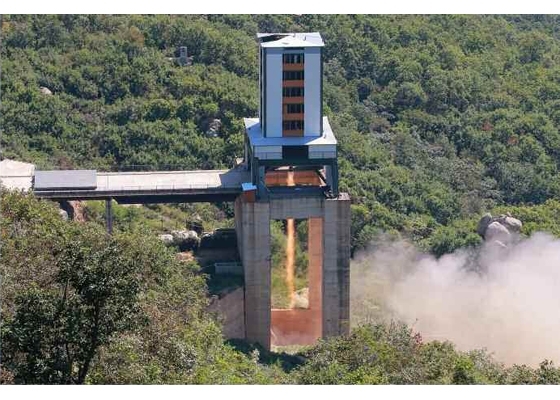 An addition of a total of four 80 tons thrust Paektusan-1 strap-on boosters would double its lift-off thrust. The second stage could be powered by a single modified 80 tons thrust Paektusan-1B engine and four vernier engines. The Safir-3D could easily launch the two seaters E2 spacecraft made of two modules, the propulsion module of 2.5 tons and the Reentry module of 2.5 tons, as well as a speculative three seaters E3 spacecraft, augmented with another orbital module, similar to the Shenzhou spacecraft. The name of the North Korean Safir-3-class LV could be Unha-18. ▲ Safir-class manned LV family evolution: Safir-1D with sub-orbital E1 spacecraft; speculative manned Safir-2D with orbital E1 spacecraft; speculative manned Safir-3D with orbital E2/E3 spacecrafts, or Unha-18(?) 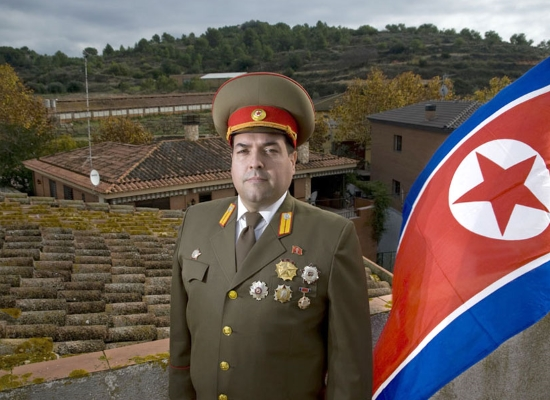 North Korean version. Edited by Soheil, 09 August 2017 - 04:05 AM. The Iranian Ministry of Science, Research and Technology approved two major national projects in the fields of research and technology, which include designing and developing two new engines for the country's satellite carrier rockets. "Two macro-scale national projects have been added to the 38 major national projects already underway in the country and the executive operations for these two plans are being carried out now," Deputy Minister of Science, Research and Technology for Research Affairs Mohammad Mahdinejad Nouri told reporters on Monday. He said the projects include manufacturing engines for satellite carrier rockets and devising a paradigm for the governing system. 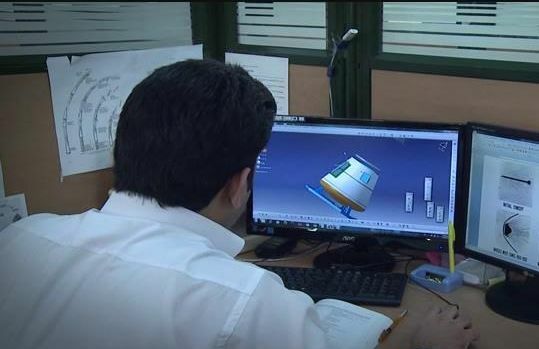 As regards the new rocket engines, Mahdinejad Nouri said Iranian universities, including Sharif, Amirkabir, Tabriz and Mashhad's Ferdowsi University will participate in the 5-year project. Navid Composite was contracting with Asia-based entities to procure a carbon fiber production line in order to produce carbon fiber probably suitable for use in ballistic missile components. The Shahid Hemmat Industrial Group (SHIG) also coordinates KOMID shipments to Iran. The shipments have included valves, electronics, and measuring equipment suitable for use in ground testing of liquid propellant ballistic missiles and space launch vehicles. Within the past several years, Iranian missile technicians from SHIG traveled to North Korea to work on an 80-ton rocket booster being developed by the North Korean government. 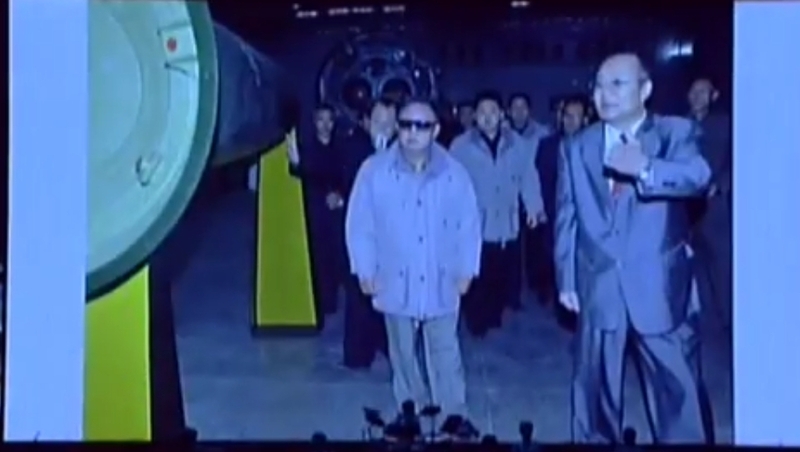 Farahi and Nooshin have been critical to the development of the 80-ton rocket booster, and both traveled to Pyongyang during contract negotiations. 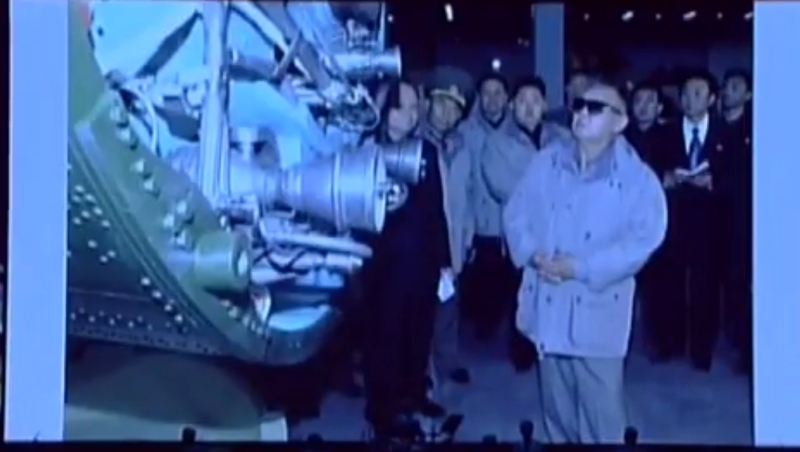 Kim Jong Un, chairman of the Workers' Party of Korea, chairman of the State Affairs Commission of the DPRK and supreme commander of the Korean People's Army, visited the Sohae Space Center to guide the ground jet test of a new type high-power engine of a carrier rocket for the geo-stationary satellite. The newly developed high-power engine is a single engine whose thrust is 80 tf. The test was aimed to make a final confirmation of the feature of combustion chamber, operation accuracy of valves and control systems and structural reliability of the engine during 200 seconds-long working time. Kim Jong Un issued an order to conduct the test. The moment the engine spewed out huge flames with deafening sound. 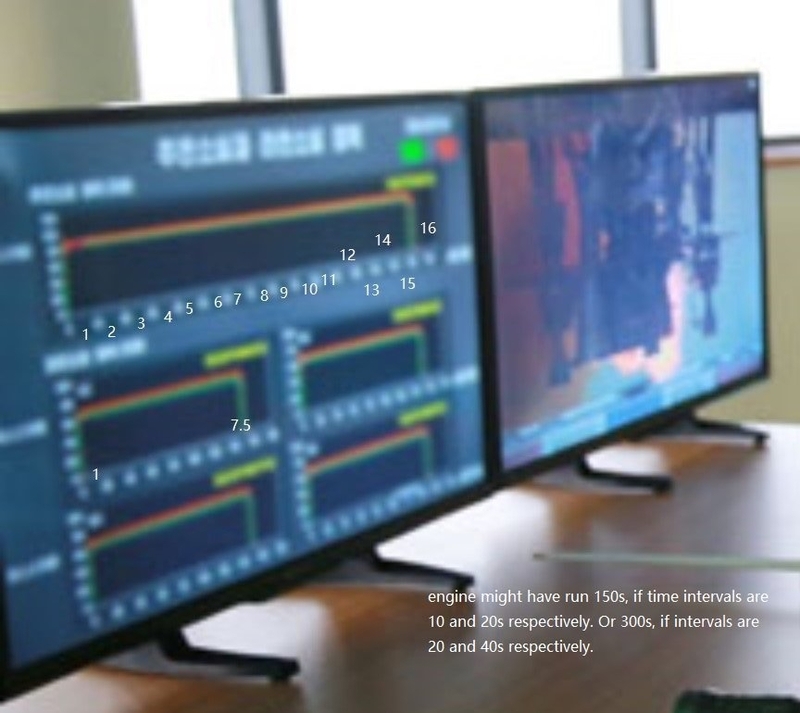 The test showed that thrust and other technological indexes of the engine accurately reached the estimated values and the feature values of all systems of the engine remained stable throughout the working time. 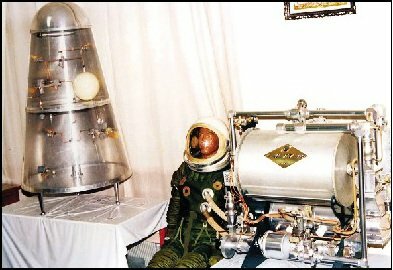 The successful manufacture of the engine provided a firm scientific and technological guarantee for developing and completing the carrier rocket for geo-stationary satellite during the 5-year program for national aerospace development and made it possible to acquire sufficient carrier capability for launching various kinds of satellites including earth observation satellite at a world level. He expressed great satisfaction over the results of the test and highly praised the officials and scientists and technicians of the National Aerospace Development Administration for having successfully and devotedly carried out the task given by the Party in a short span of time. The space science and technology and the space industry are an important barometer for estimating the national power, he said, calling for more dynamically paving the avenue to space conquest by conducting in real earnest the work for developing the space in order to fulfill the 5-year program for national aerospace development. The development and use of space are an important policy of our Party and an important work for which the state should make sustained efforts, he said, adding that the National Aerospace Development Administration should carry out the space development with a main emphasis on the satellite development and manufacture and launch more satellites for different uses by indigenous efforts and technology and thus turn our country into a possessor of geostationary satellites in a couple of years to come. 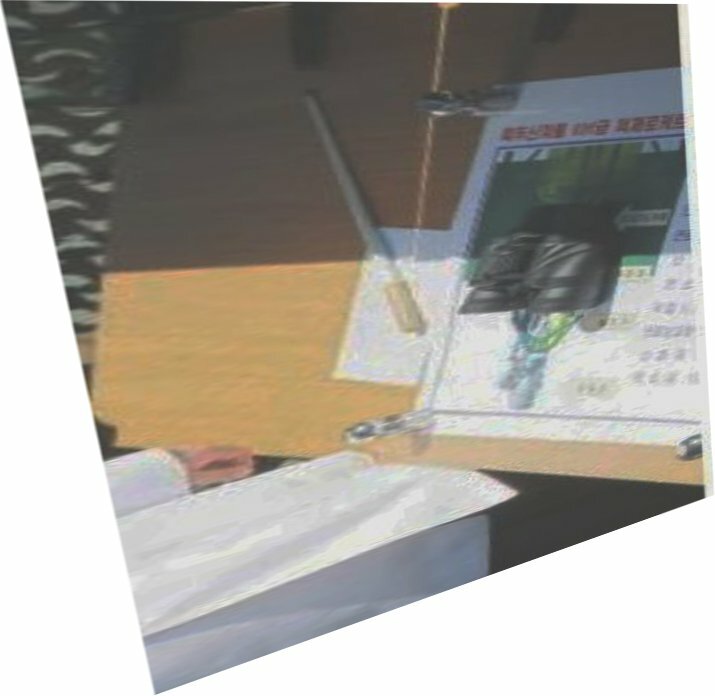 On that day, a table was placed at the observation station installed near the static test stand, and a large explanatory drawing was spread on the table. 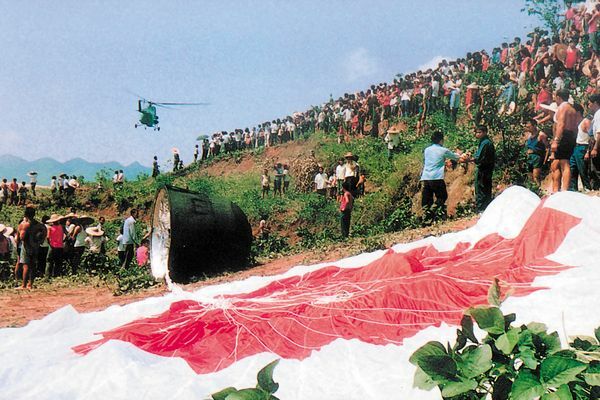 As you can see in <Picture 1>, the commentary was titled "Paektusan 80 tf liquid rocket". 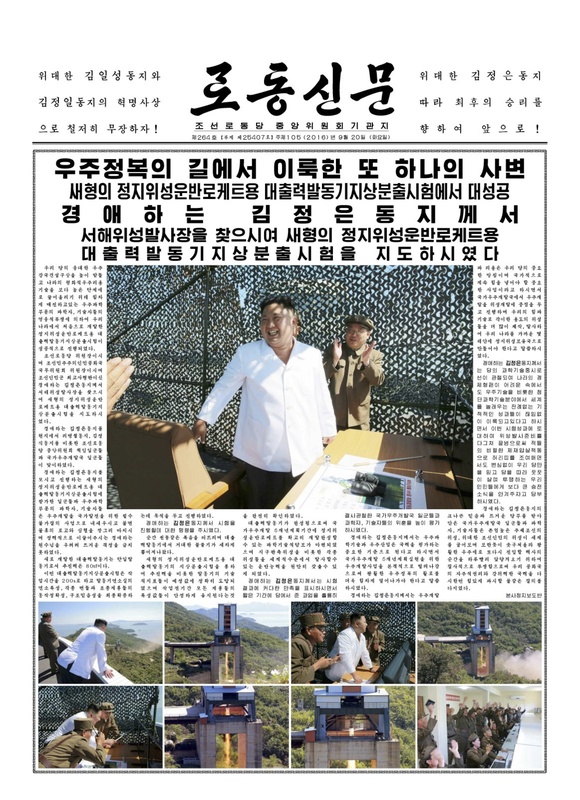 The title of the commentary shows that the new high-power liquid rocket engine developed and completed by North Korea is a liquid rocket engine of the Paektusan series. 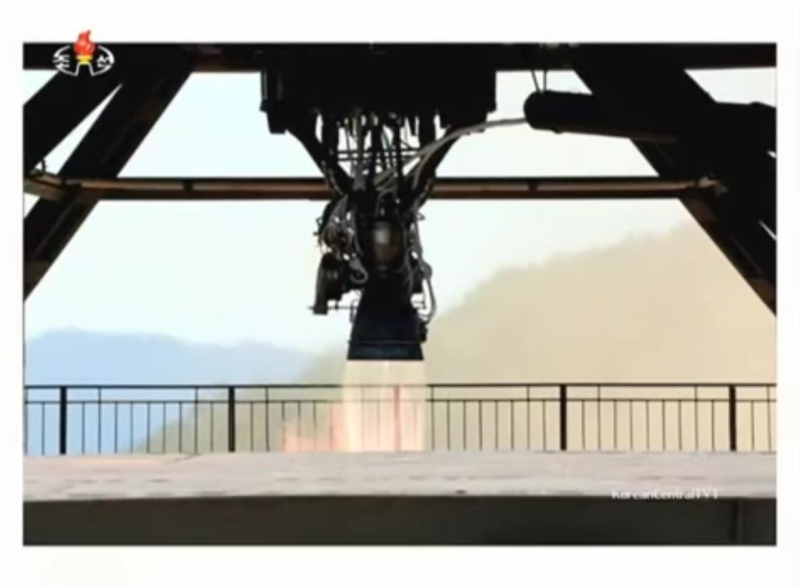 Here, the term predicts that other high-power liquid rocket engines with improved performance, named Paektusan, will be developed in sequence. 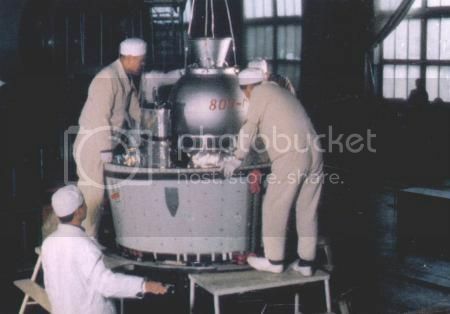 In this regard, it can be seen that the high-power liquid rocket engine developed and completed by North Korea is the first liquid rocket engine of the Paektusan series, and its name is Paektusan-1 according to the North Korean naming practice. If we develop a modified version of the Paektusan-type liquid rocket engine, which will further improve the performance of the aerospace industry, it will be called Paektusan-2. The Korean engine is neither related to the Russian R-27 design technology, nor R-29 design technology. Raising the Chinese connection theory and the Iranian connection theory is nonsense. 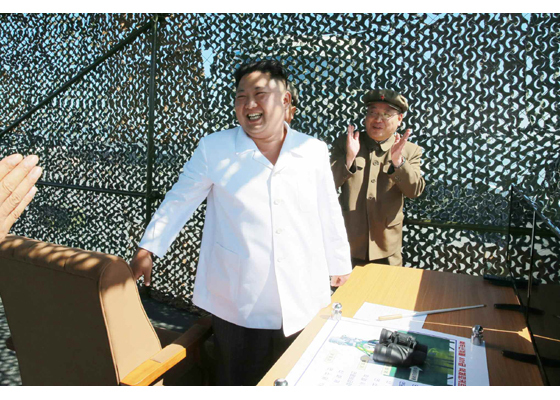 ▲ The photo shows a table used by Supreme leader Kim Jong Un, who was placed at the observing station installed near the static test stand. 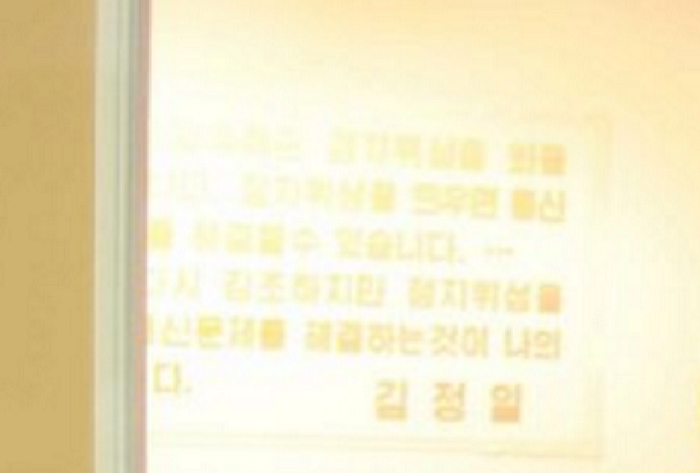 "백두산계렬 80tf급 액체로케트(발동기): Paektusan Series 80 tf liquid rocket (engine)" is written in red. Note, the world "engine" is out of the camera's field! If 80 tonnes force is converted to kilo Newton, it is 784.5kN. The thrust referred to in this article refers to the thrust generated when the rocket engine is operated on the ground (not operating in a vacuum of outer space). since the thrust of Paektusan-1 is 784.5KN, if you build a rocket by attaching 4 rocket engines, you get total thrust of 3,138kN. The 3,138 kN is a tremendous force enough to bring large, heavy payloads of up to 6,000 kilograms into a low earth orbit. 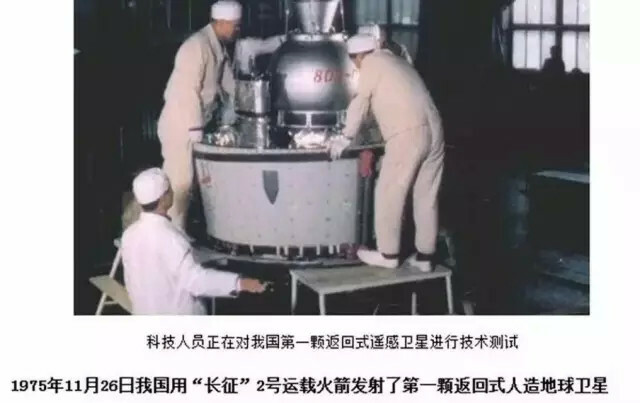 It is noted that the burne time of Chinese YF-20B is 128 seconds and the burne time of Russian RD-117 is 118 seconds, whereas the burne time of Paeksutsan-1 is 200 seconds. This indicates that the Paektusan-1 has a much longer burne time than the other two by comparison. It can be seen that the new type of satellite carrier rocket to be fitted with the Paektusan-1 is a satellite carrier rocket flying farther over the earth's orbit. It is predicted that the new satellite carrier rocket to be fitted with Paektusan-1 will send a satellite to a GEO of 35,786 km. "I emphasize it is my wish to solve the communications problems by developing geostationary satellites." 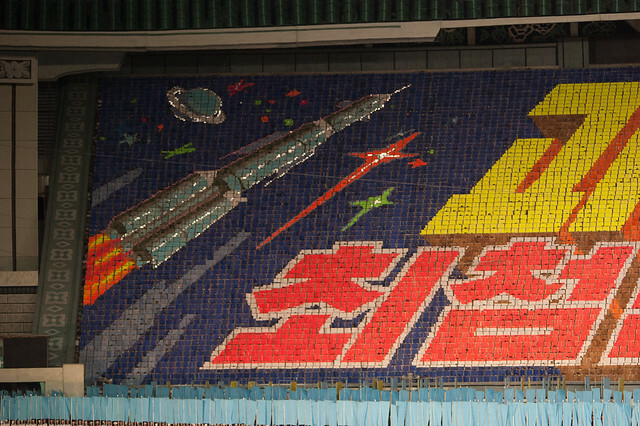 It is the will of the forerunner of Chairman Kim Jong Il that North Korea launches geostationary satellites. 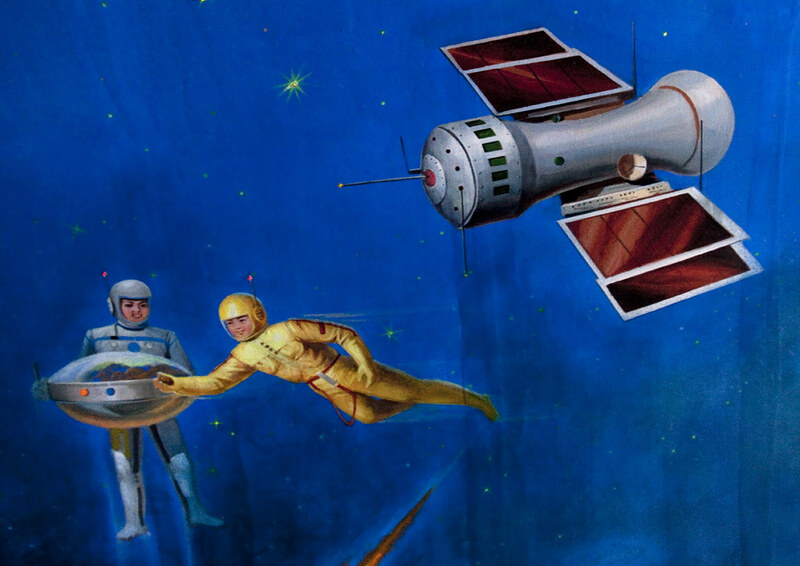 On April 17, 2015, Russia's ITAR-TASS news agency quoted Park Kyung Su, the chief of the Korean space agency, as saying, "Now the Korean researchers are engaged in the production of Earth observation satellites and GEO communication satellites ". The aerospace industry will not only launch GEO communication satellites, but will also produce more powerful GEO military satellites. 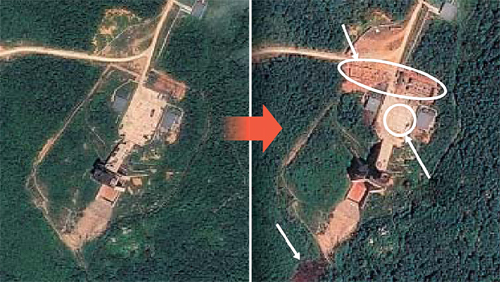 According to a July 22, 2015 report, the height of the Sohae launch pad vertical gantry tower, which was enlarged by North Korea, is 67 meters. This suggests that it is possible to launch a large satellite-carrier rocket with a length of more than 50 meters. 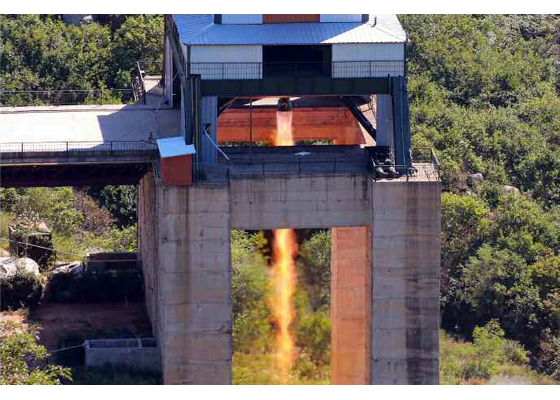 The biggest achievement made by North Korea was to replace the Red fuming nitric acid (RFNA)/kerosene propellants of the Moksong-1 engines with RFNA/UDMH propellants in the Paektusan-1 engine. The fact that North Korea is developing geostationary satellites means that it is building a communication satellite with a mass of 2,500kg and it means that the new launcher is about 50m in length and 3.5m in diameter. 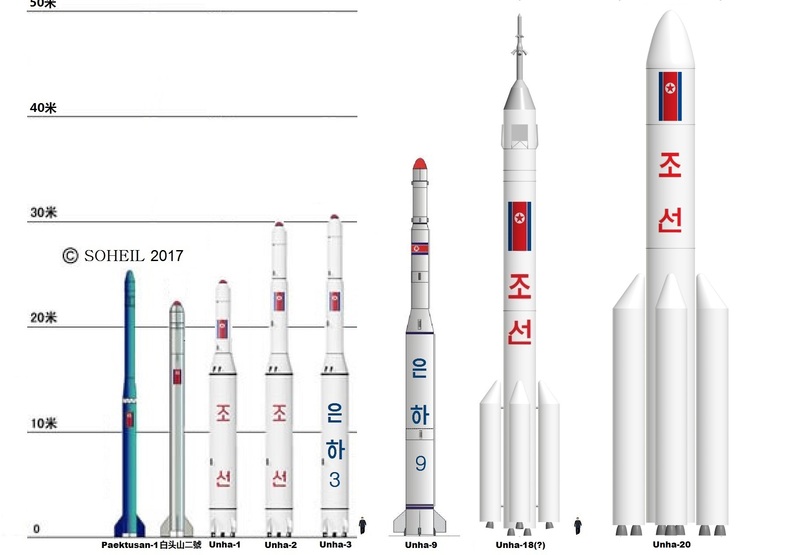 With four 80-ton-thrust Paektusan-1 main engines, 1 four chambers steering engine, and four additional 80-ton-thrust Paektusan-1 strap-on boosters, the first stage of a future Korean manned space launcher could easily develop more than 640 tons of thrust at liftoff, enough for a 400 tons launcher. 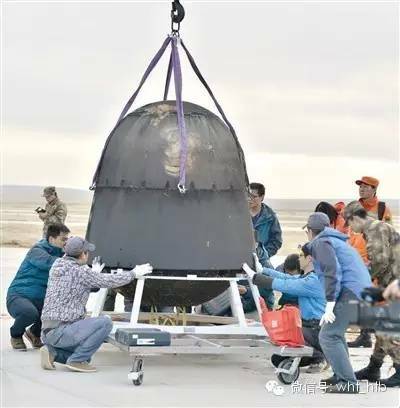 In comparison, the Chinese CZ-2F has a mass of about 498.4 tons and its four 75-ton-thrust main engines and four 75-ton-thrust strap-on boosters develop a total of 592.3-ton-thrust at liftoff, able to put a 8.60 tons spacecraft into LEO. This 80-ton-thrust engine has surpassed the Chinese CZ-2 class' engines and also the future South Korean 75-ton-thrust engine. Edited by Soheil, 09 August 2017 - 04:06 AM. Kim Jong Un, chairman of the Workers' Party of Korea, chairman of the State Affairs Commission of the DPRK and supreme commander of the Korean People's Army, watched the ground jet test of Korean-style high-thrust engine newly developed by the Academy of the National Defence Science. 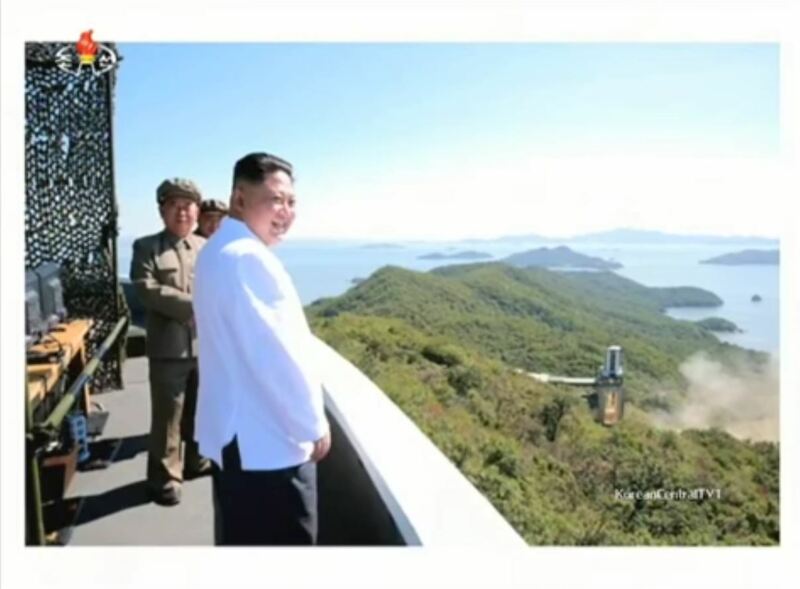 After being told about the production of the new-type high-thrust engine, he personally visited the Sohae Satellite Launching Ground at dawn to learn in detail about the technical specifications of the engine and preparations for the test and guided it. 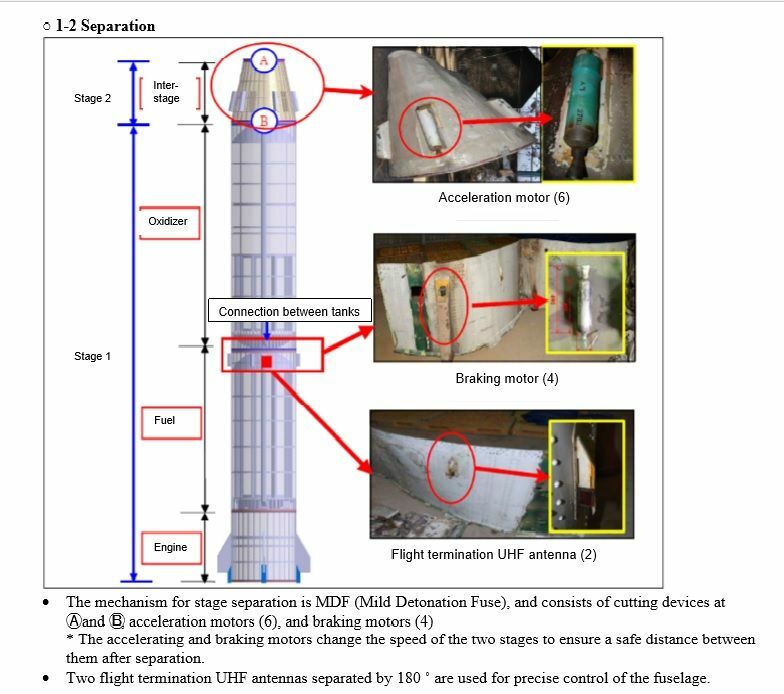 The test was conducted to confirm the overall technical indices of the engine such as features of thrust power in the combustion chamber, accurate movement of turbine pump, control system and various valves and their structural safety and reliability. He mounted an observation post and gave an order to start the test. 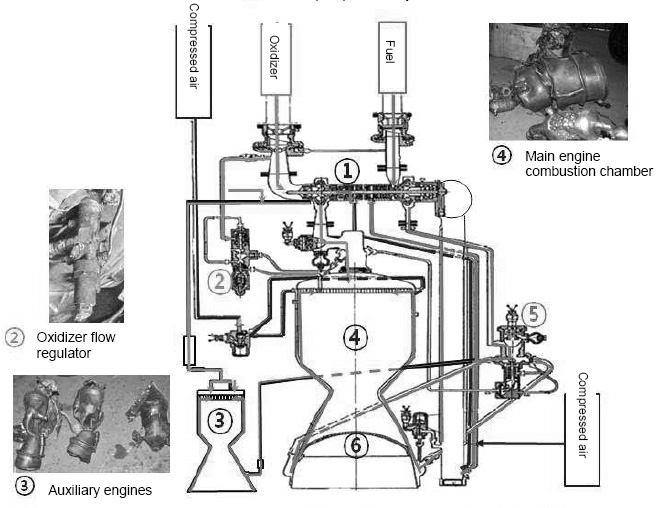 The results of the test confirmed the stable maintenance of technical indices of all systems such as starting and stopping features of a new-type high-thrust engine of Korean style designed and manufactured by the defense scientists and technicians by their own efforts and with indigenous technology, the features of the thrust power in the combustion chamber, turbine pump, control systems in the whole course of engine operation after accurately reaching the expected values, and the perfect guarantee of their structural reliability. . 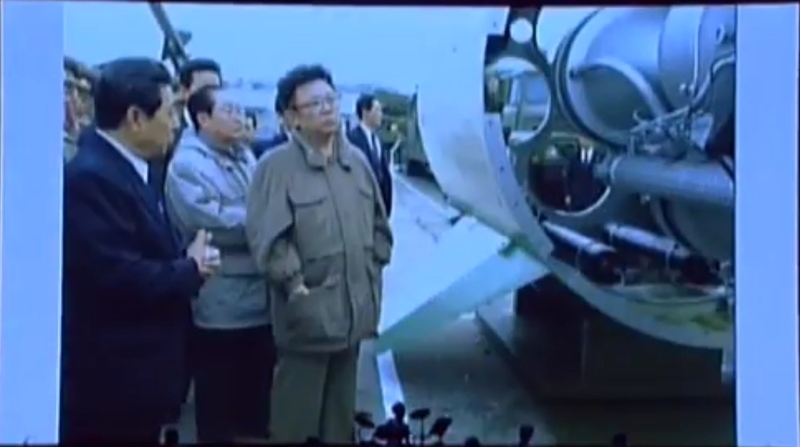 He noted that the success made in the current test marked a great event of historic significance as it declared a new birth of the Juche-based rocket industry which has radically turned into a development-and creation-oriented industry both in name and in reality by completely doing away with dogmatism, conservatism and formalism left in the field of rocket industry and the dependence on the technology of other countries. He emphasized that the whole world will soon witness what eventful significance the great victory won today carries. The development and completion of a new-type high-thrust engine would help consolidate the scientific and technological foundation to match the world-level satellite delivery capability in the field of outer space development, he noted, adding with pleasure that today when a great leaping forward has been made in the development of the rocket industry is the day to be always remembered, a historic day which can be called "March 18 revolution". He said that the field of munitions industry made a series of unprecedented successes this year as it did last year, instilling dynamism into the grand revolutionary advance of all the service personnel and people. 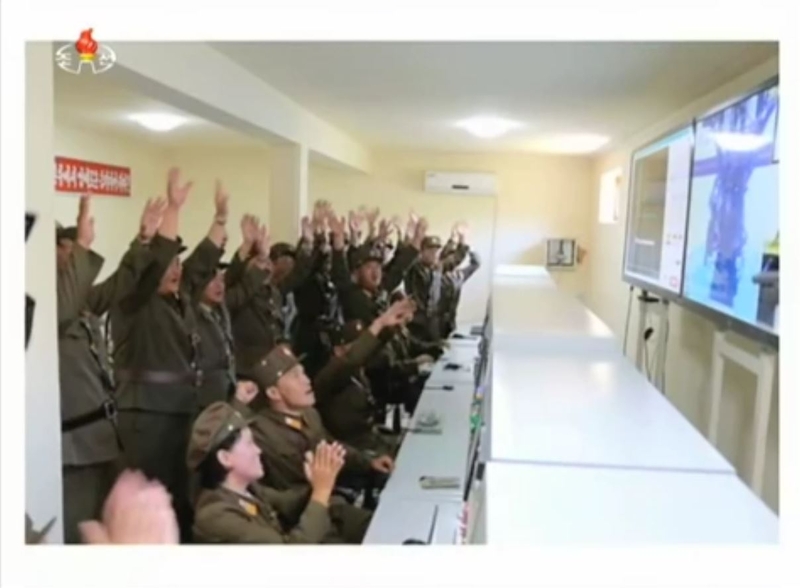 Then he had a significant photo session with the officials, scientists and technicians in the field of defense science who took part in the test. 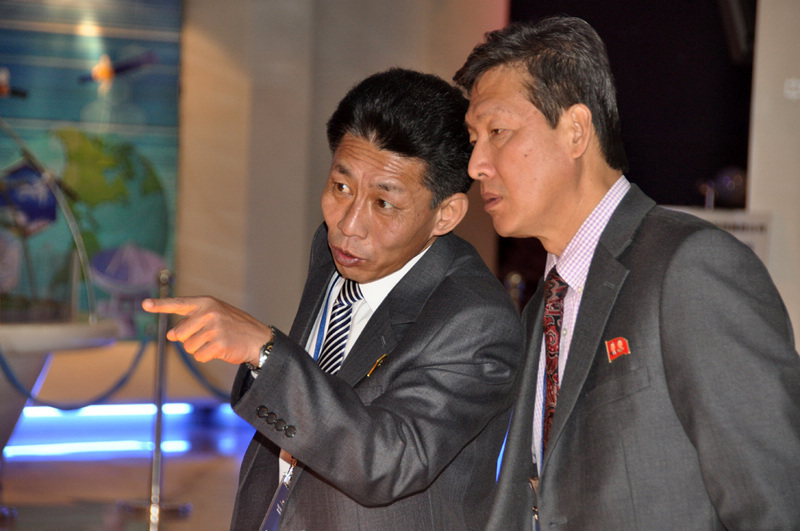 He was accompanied by Ri Pyong Chol, Kim Jong Sik and other leading officials of the C.C. the WPK and scientists and technicians in the field of rocket research. The thrust of the Topol-M deployed by the Russian strategic forces is 100 tons, but it is unreasonable to think that the thrust of the same class intercontinental ballistic missile, the Hwasong-13, is 120 tons, made by a cluster of four old Hwasong-7 engines of 27 tons thrust plus four verniers engines of 3 tons thrust. 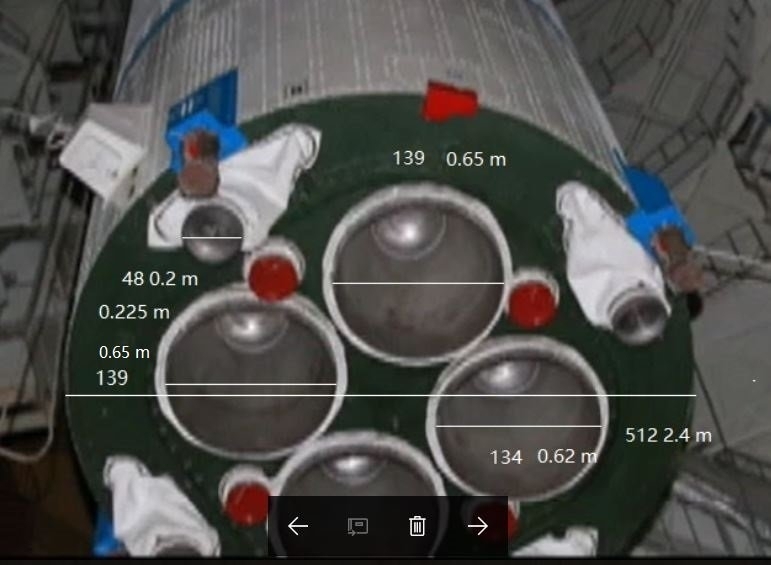 I estimate that the total thrust is 102t, assuming that two 35t-class main rocket engines and four 8t-class auxiliary vernier rocket engines are installed on the Hwasong-13. The Hwasong-12 ICBM seems to be a missile of the same class as the Hwasong-13 ICBM but with more advanced design, therefore the same thrust of about 100 tons, but with only one main engine and four verniers instead of two main engines and four verniers. ▲ Hwasong-12 first successful test launch, 14 May 2017. ▲ Hwasong-14 first successful test launch, 4 July 2017: Paektusan-1B main engine with 4 verniers. 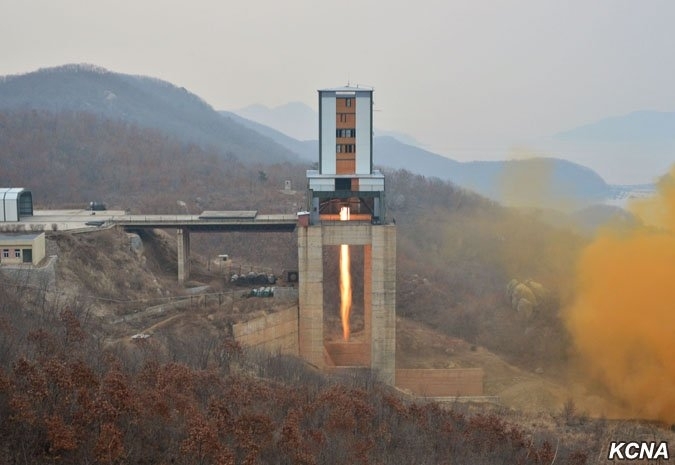 ▲ Hwasong-14 first test launch, 4 July 2017: Paektusan-1B main engine with 4 verniers. 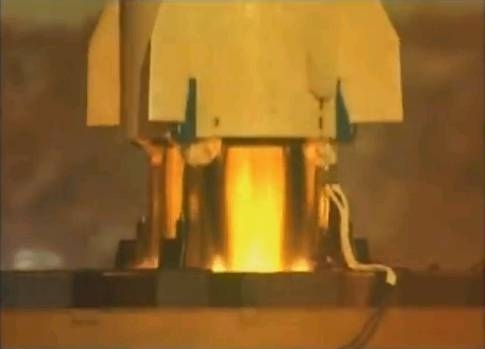 The flame shows that the Hwasong-14 does not use nitric acid, which emits a red-colored flame, as an oxidizer, but uses nitrogen tetroxide (NTO). Nitrogen tetroxide is a high-efficiency hypergolic oxidizer with very strong auto-ignitability. 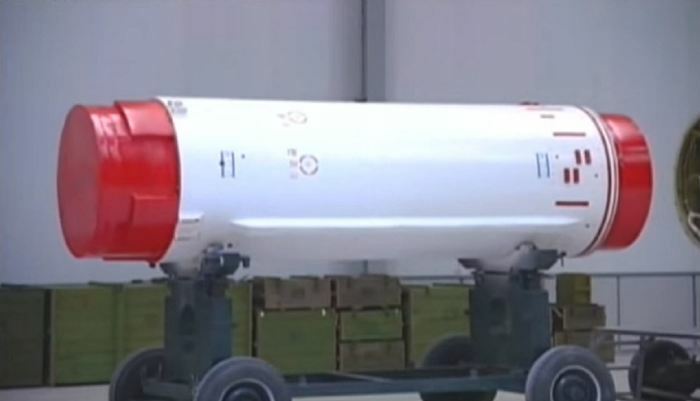 In addition, the Hwasong-14 uses a liquid fuel called unsymmetrical dimethylhydrazine (UDMH), which is a highly efficient colorless chemical. 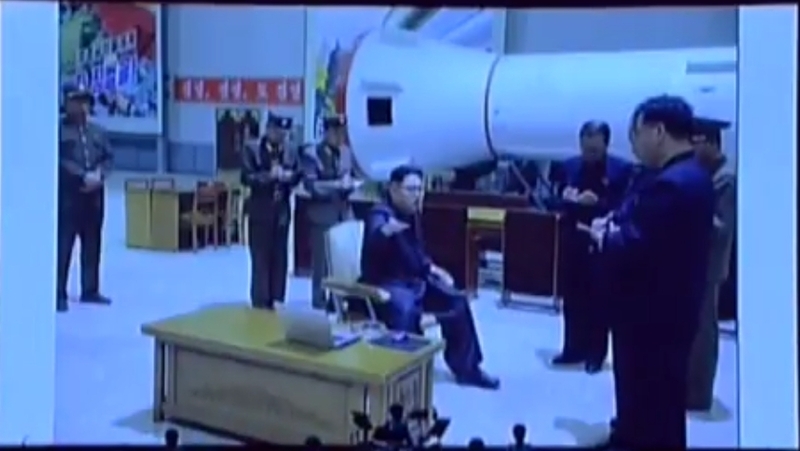 So the Hwasong-14's flame appears to be transparent. 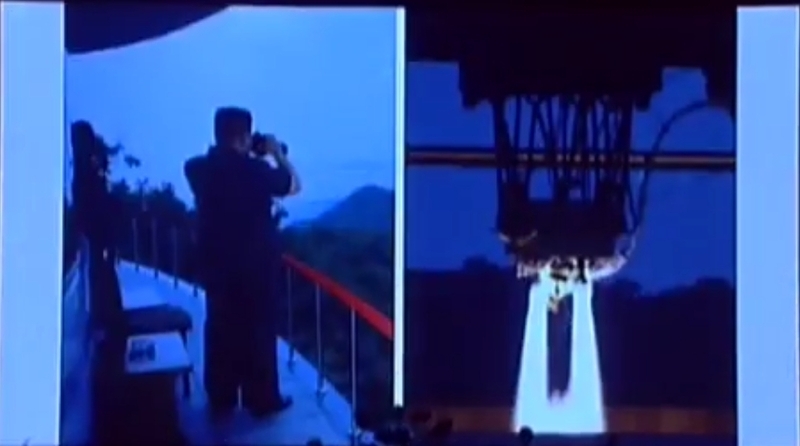 Note the presence of shock diamonds in the Hwasong-14, not seen in any previous North Korean space launchers, but first seen in the Hwasong-10 and Hwasong-12, and explained by the more transparent flame associated with the new propellant combination, that is, the hypergolic UDMH/NTO with improved higher specific impulse (ISP), and replacing the old kerosene and nitric acid combination of the Paektusan LV and Unha series LV. 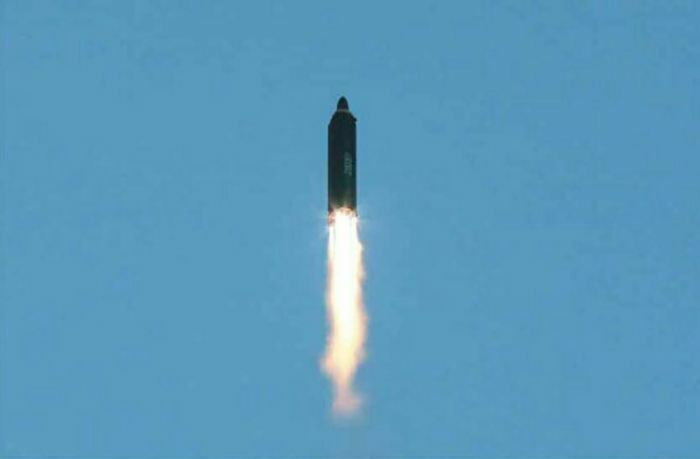 the ballistic missile re-entry vehicle escaped and successfully re-entered the atmosphere, according to analysis of data communication with the North Korea's ground control center during the most recent intermediate-range ballistic missile (IRBM) launch by North Korea on Sunday. soared to an altitude of 2,111.5 kilometers along its planned trajectory. with a total flight time of 30 minutes and 11 seconds. 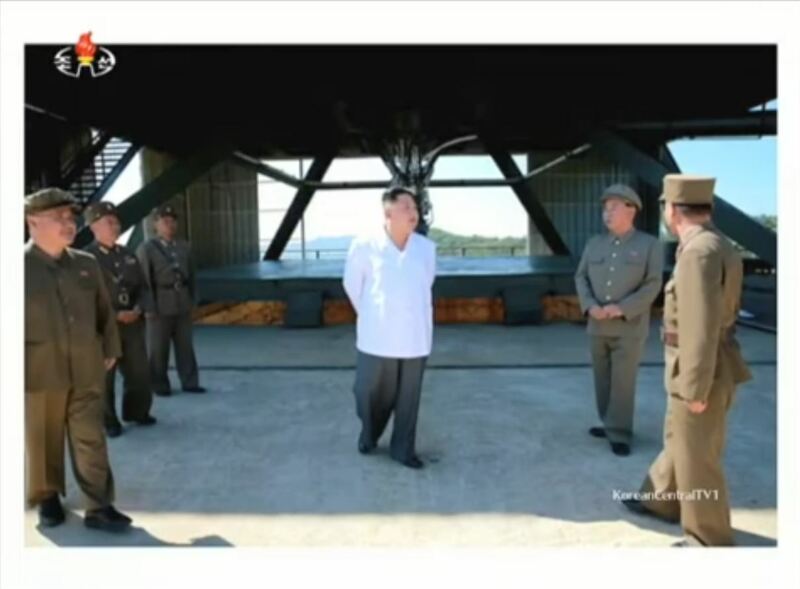 Aeronautics Professor Jang Young Keun, a rocket specialist, commented that the Hwasong-12 first tested on 14 May 2017, was a massive rocket with a thrust close to 100 tons. "Actually, when I saw the video footage of the launch, it was very fast and it disappeared in only 36-seconds. 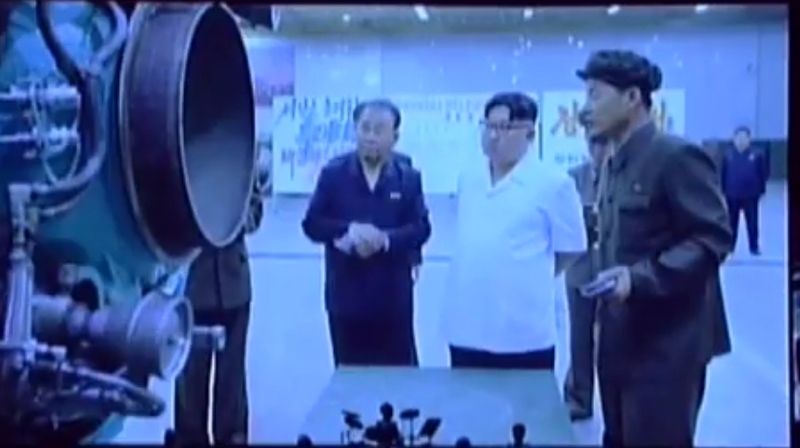 The Hwasong-7 aka Scud ER, tested in 4 consecutive launches, took about two minutes to disappear. 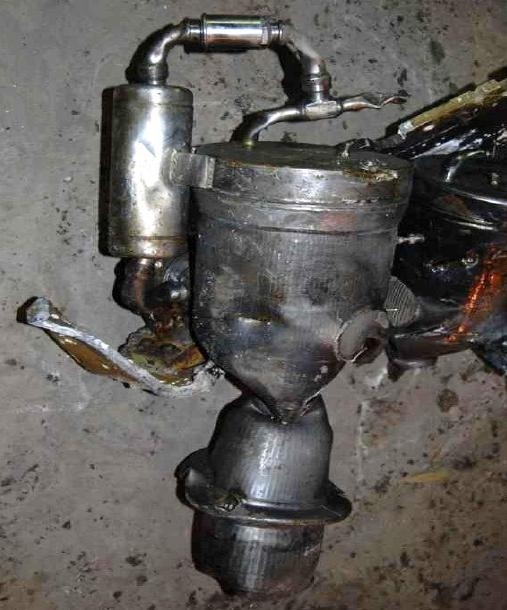 It is highly likely that North Korean engineers have applied the multi-staged combustion cycle method to drive the turbopump and thus dramatically improve the fuel efficiency. 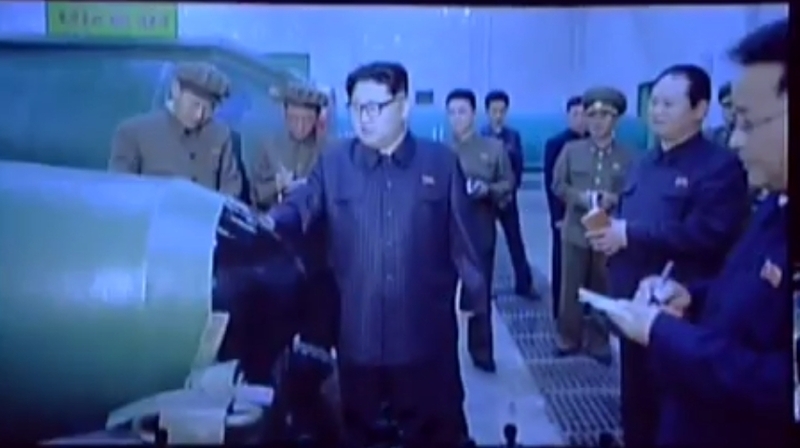 In this test, North Korea announced that it had finished verification of the pressurization system. The more the fuel is injected into the combustion chamber at a higher pressure, the higher the propellant force. The turbopump is operated to increase the pressure. And the fuel that was driving this turbo pump is sent to the combustion chamber again, to be burned and increasing the thrust. It is called the multi-stage combustion system. When it was first disclosed on March 18, 2017, Western experts said it would take 2-3 years to apply it to a missile. 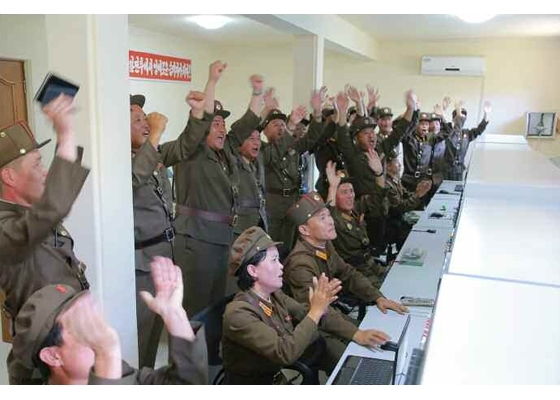 North Korea succeeded in launching it in less than two months." The Safir-1 LV's second stage disclosed in 2008 is designed with two vernier engines. The second stage of the Safir-2A disclosed in 2015 is powered by four vernier engines, developing a total of 7.2 tons of thrust. 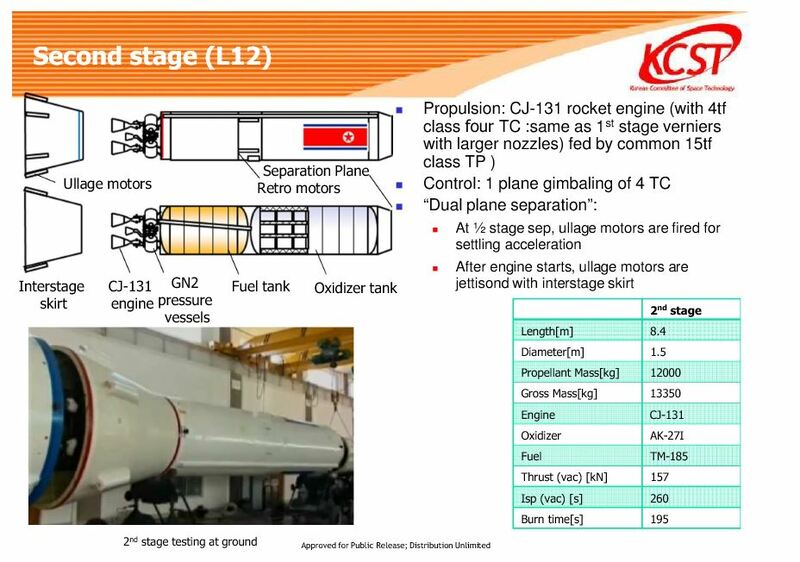 The Unha-3's second stage as revealed in a February 2016 video is more likely made of one (or even two) main engines with 4 verniers. 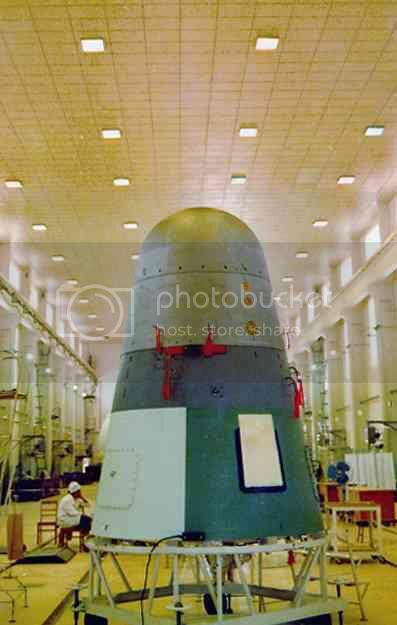 The second stage of a Safir-3/[Unha-9?] could be powered by a single modified 100 tons thrust Paektusan-1B engine and four vernier engines, all feeded by a single common turbopump. 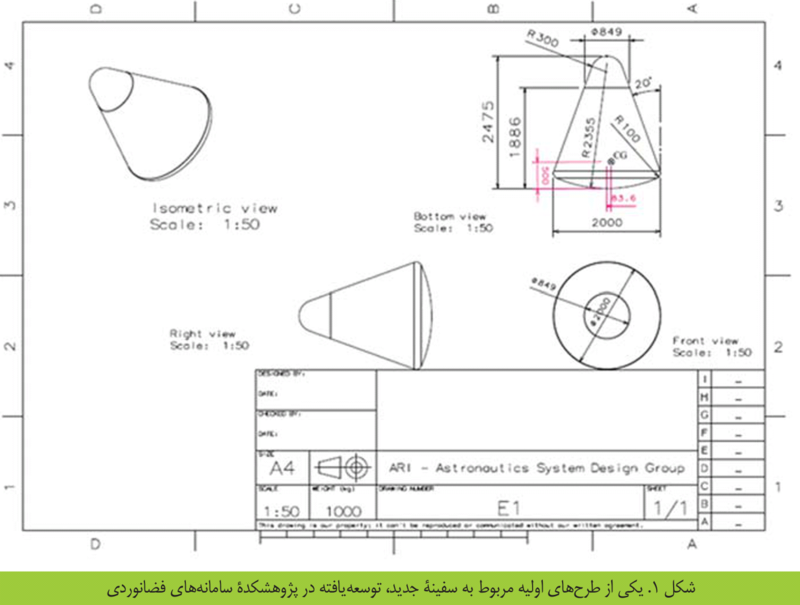 The single longer exhaust pipe is also fitted with its own expansion nozzle to further increase the overall thrust, feature first introduced in 2010 on the Safir-1B's second stage, and present in all follow-up LVs such as the 2015 Safir-2A's second stage. ▲ Safir-1 LV second stage evolution. ▲ Safir-2 LV second stage. 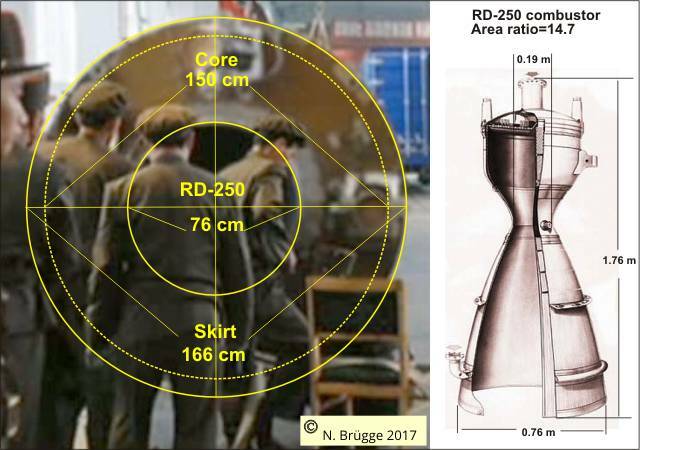 ▲ Photogrammetric speculations on the second stage of the February 2016's Kwangmyongsong (Unha-4) used to launch Kwangmyongsong-4:"More likely a main engine with 4 verniers"
According to a North Korean 1999 rocket engine schematic, which was captured on July 22, the turbo pump, which compresses and distributes fuel, including four engines and auxiliary engines, is shown as in the test of March 18, 2017. This schematic was found on the North Korean cargo ship Kuwolsan, which was suspected of carrying missile parts in June 1999 and was detained in India. 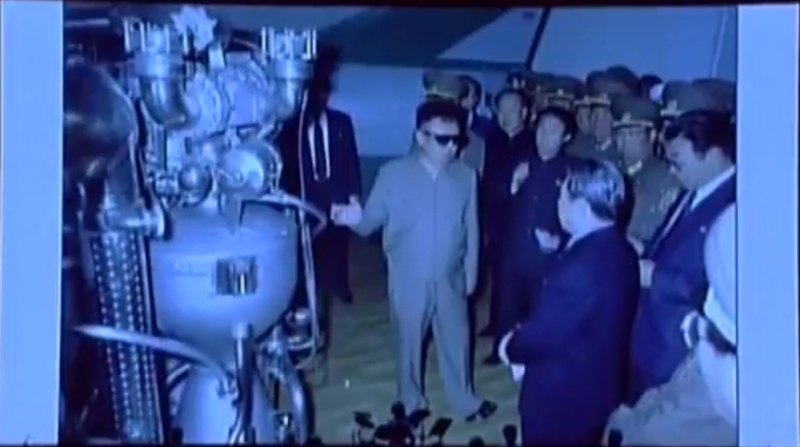 Considering that North Korea had already obtained the design in the mid-90s, before the schematic was captured, it means that it took North Koreans at least 20 years to develop the engine. 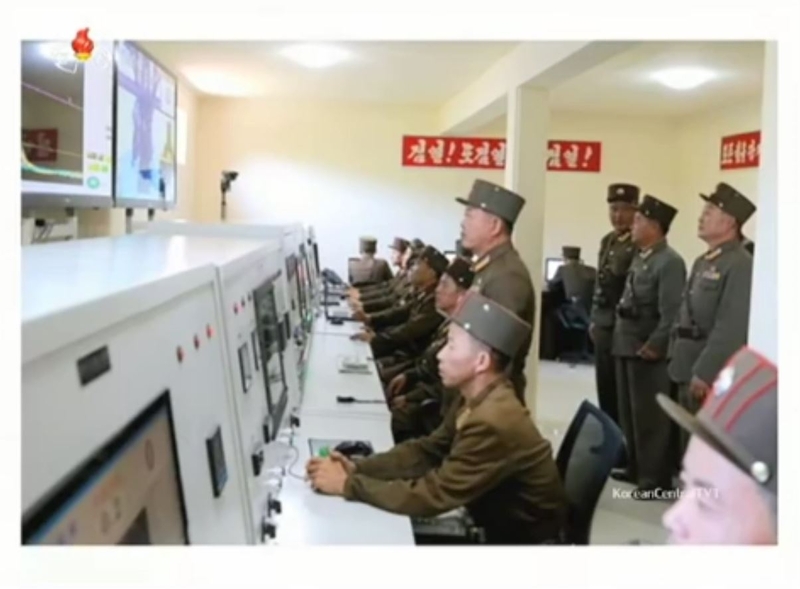 By clustering four [Rodong] engines, the output may be unstable and the engine efficiency is low," thus "To overcome these shortcomings, North Korea developed the new [Paektusan-1] engine." ▲ Engine might have run 150s or 300s, depending on different time unit. 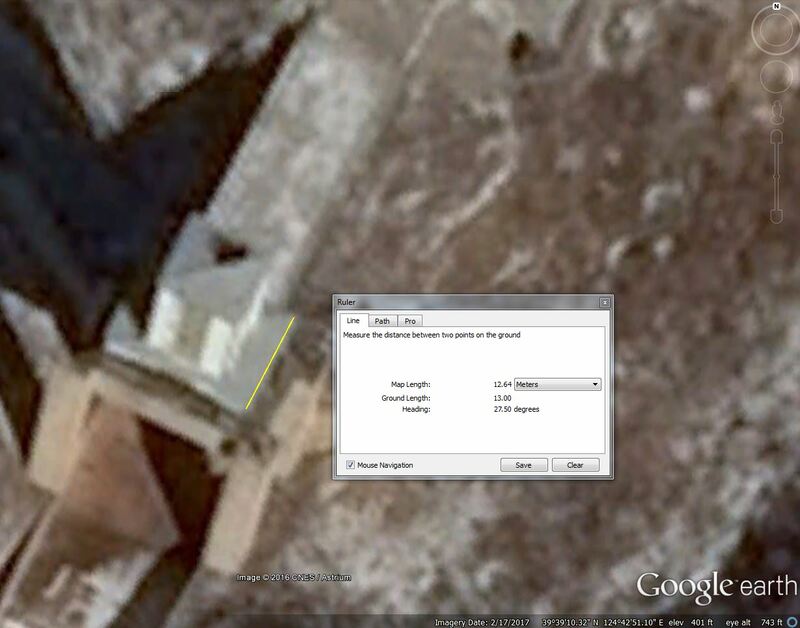 Rough measurement of the Eastern/Western facade of the first level of the Sohae static test stand, using Google Earth indicates a lenght of about ~12.64 meters. The Eastern/Western facade balustrade is made of 6 distinct assembled parts, each subdivided in 12 vertical rectangles by 11 balusters (a vertical member used between railing and tread or floor, adding safety, support and stability to the balustrade). 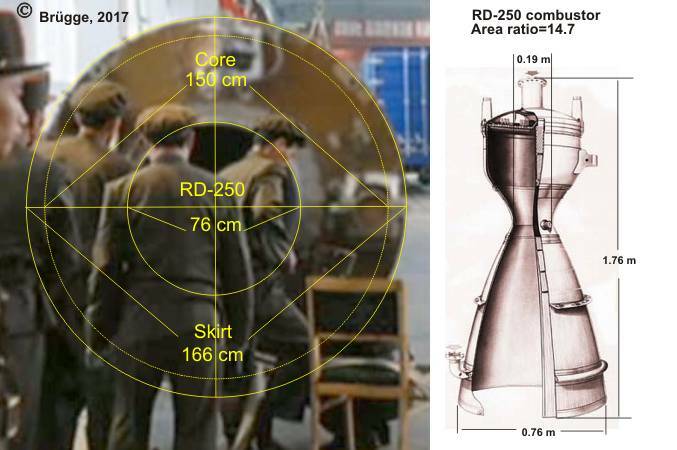 By using the South Korean 90 cm engine diameter estimation, then the rocket stage would be 2.25 cm, consistant with the speculations on a 2.2 meters diameter second stage of a future LV's through photogrammetric measurements of the vertical gantry tower from video of February 2016 Kwangmyongsong (Unha-4) used to launch Kwangmyongsong-4. Edited by Soheil, 09 August 2017 - 04:08 AM. Paektusan series liquid engines uses UDMH which is highly toxic as fuel, and nitric acid, nitric oxide and the like as oxidizer for supplying the oxygen. Unlike liquid oxygen, it can be injected several months in advance. 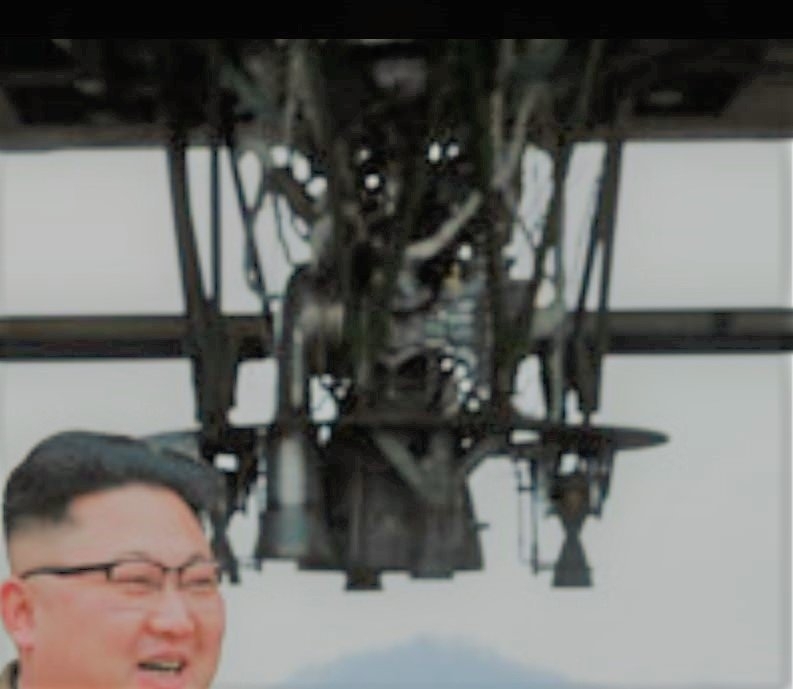 The new engine developed by North Korea has a thrust of 80 tons. When two engines are combined, the thrust is 160t. When 4 engines are combined the thrust is 320t. 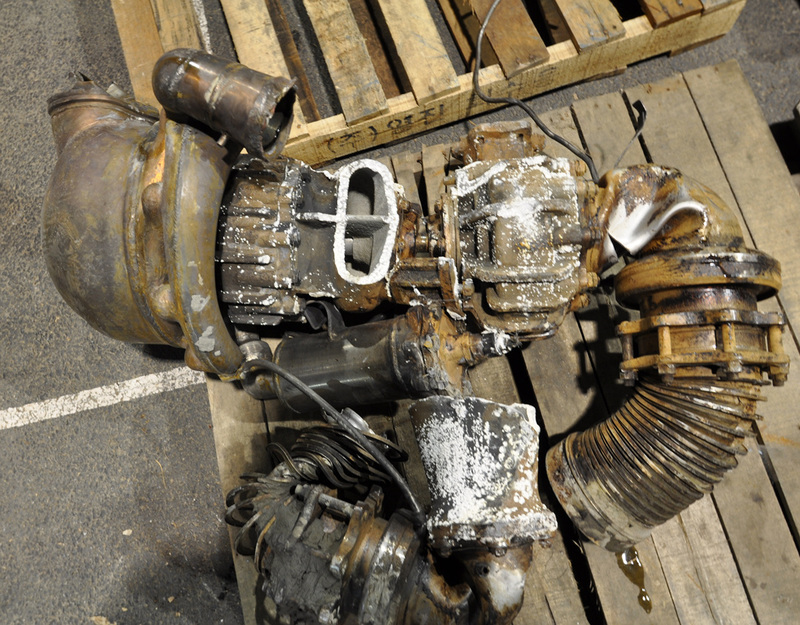 Feasible by connecting a second 80-ton-thrust gimbaled chamber to the same turbopump, provided the turbopump is designed to support the pressure generated by a 160-ton-thrust combustor. Thus, two 160-ton thrust engines could power the first stage of a new Unha-9 LV. But still not enough for the 400-tons class LV. 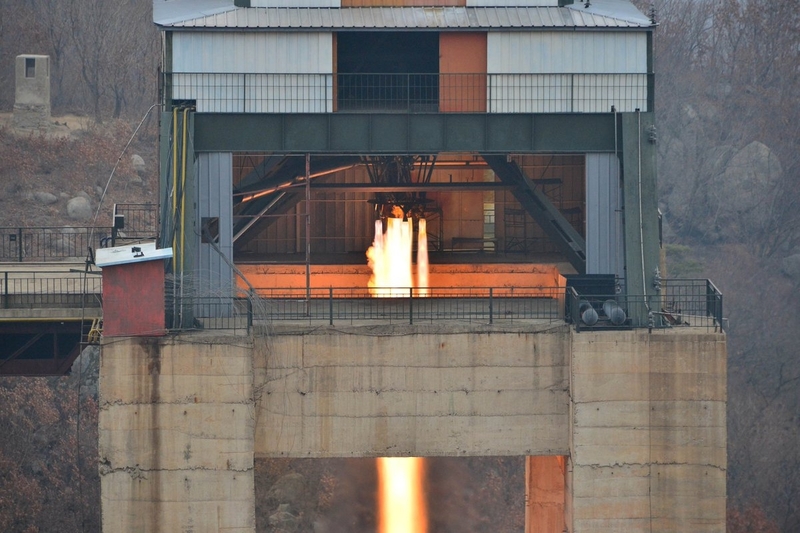 On March 24, 2017, the US early warning satellite recognized that the ground burning test on the rocket engine was carried out again at Sohae Engine Static Test Stand, but it seems that the test failed because there was no announcement of the test. Edited by Soheil, 09 August 2017 - 04:09 AM. Analysis by Master S☫heil from Sohae, DPRK. According to past practice, where liquid propellant ballistic missiles are named after Mars (Hwasong), ICBMs after Jupiter (Moksong), submarine-launched ballistic missile (SLBM) and other solid propellant ballistic missiles after Polaris (Pukguksong), anti-ship cruise missiles (ASCM) after Venus (Kumsong), and space launchers after famous mountain [also refering to supreme leaders] (Paektusan) or the Milky Way (Unha), one can speculate that a future solid propellant launcher, manned spacecraft and space plane could be named after some bright celestial objects like notable constellations and planets. Alternately, Aurora seems to be one of the most popular name among spacefaring powers (Dawn, Shuguang, Fajr, Zarya), therefore Saepyek (새벽; 曙光) would be a well inspired choice, even suitable for any future Korean spaceship or satellite! 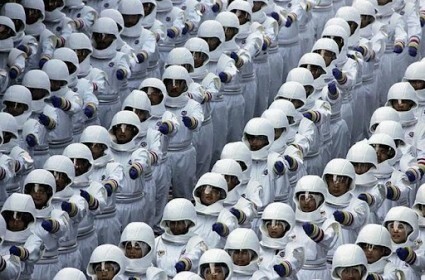 ▲ Soldiers depicting North Korean astronauts marched in one April 2012 Pyongyang parade. 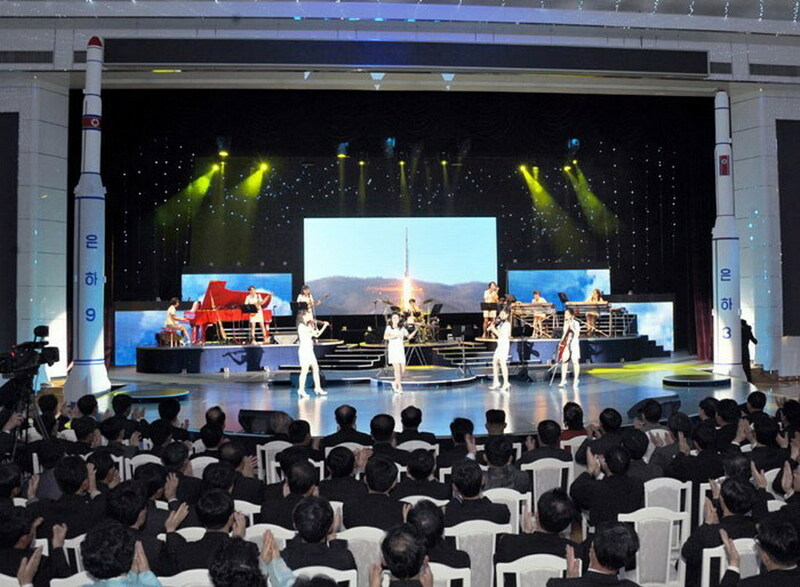 Possibly second occurence of an official depiction of the North Korean 3-modules manned orbital spacecraft (first revealed in February 2016), on the occasion of the 21st Annual Kimjongilia Festival, held at the Kimilsungia-Kimjongilia Exhibition House in Pyongyang, on February 14-21, 2017. 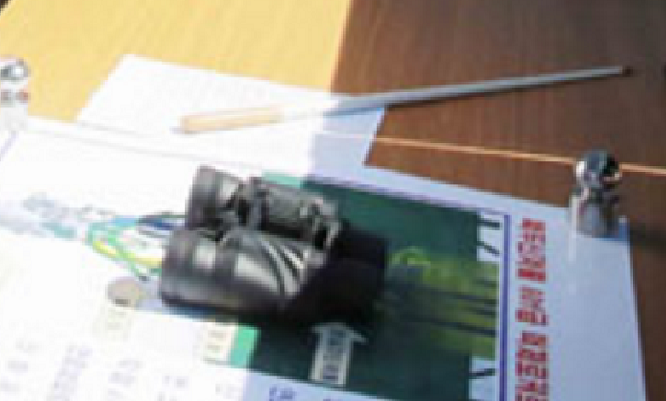 Previous Annual Kimjongilia Festivals have been notorious for the exhibition of scale models ranging from the Kwangmyongsong-2, Unha-3, Unha-9, Hwasong-13 and Pukguksong-1, with most of them being effectively launched a few years later. 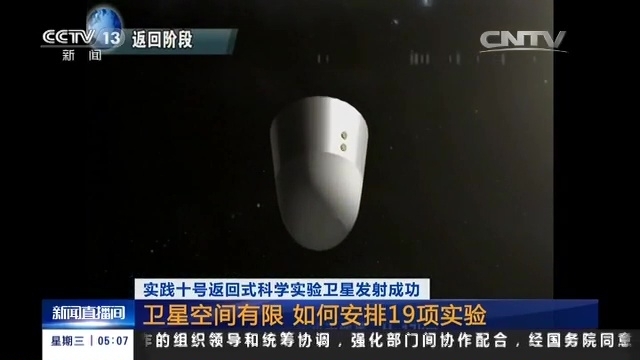 This new spacecraft shows obvious similarities with the Chinese Project 921 Shenzhou spacecraft with a pair of solar power panels on both the service module and the orbital module. 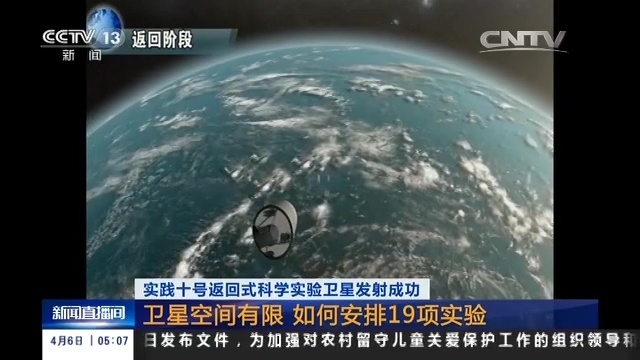 First animated depiction in a March 9, 2017 video of a manned orbital 3-modules spacecraft, with one pair of solar panels on the service module, similar to the Chinese Project 863 manned orbital spacecraft. Very brief, fuzzy and stealthy four seconds only sequence. ▲ At T=15s to T=19s: manned orbital 3-modules spacecraft, with one pair of solar panels on the service module, similar to the Chinese Project 863 manned orbital spacecraft. 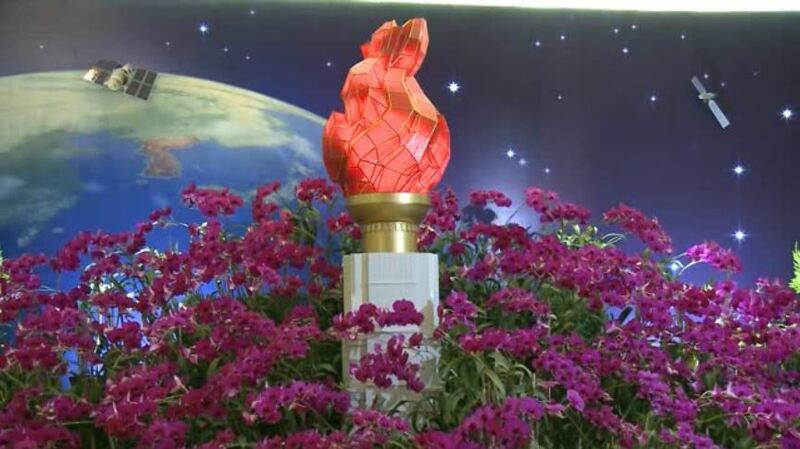 Possibly fourth occurence of an official depiction of a North Korean (2-modules) manned orbital spacecraft (first revealed in February 2016), on the occasion of the 19st Annual Kimilsungia Festival, held at the Kimilsungia-Kimjongilia Exhibition House in Pyongyang, on April 13-20, 2017. ▲ At T=1m02s: manned orbital 2-modules spacecraft, with two pair of solar panels, return module is similar to the Chinese Project 863 manned orbital spacecraft. Researchers at Space Transportation System Department of Iran's Space Research Center succeeded in the laboratorial production of ceramic nanofibers made of cheap and biocompatible raw materials with very high melting point. Today, there is a need for a type of material that is resistant to temperatures higher than 2,000°C for a long time in addition to having the ability to work at oxide and corrosive atmospheres in the production of thermal shields, cutting devices, turbines, melting bushes and storage of molten metals. Nanofibers have advantages over nanoparticles, including perfect resistance to severe thermal shock, higher ability to endure dynamic load, and higher fracture toughness. Therefore, the researchers tried to synthesize zirconium diboride as a high temperature ceramic with nanofibrous structure. There are different methods to synthesize zirconium diboride such as solid-state reaction, electrochemical reaction and mechanical methods. However, there are some problems in the production of these materials, including high temperature of synthesis, long production time, low purity and relatively large particle size. In this research, zirconium diboride nanofibers were synthesized by using a gel containing raw materials and molecular dimensions and by electrospinning of the produced sol through carbothermal reduction. Cheap and eco-friendly raw materials have been used in the production of the nanofibers. The application of cheap precursors without the need for pre-preparation and reducing the temperature of thermal processing decrease the cost and pollution during the synthesis. Results of the research have been published in Ceramics International, vol. 41, issue 5, 2015, pp. 6905-6911. Design life of 14 days, orbital mission of up to 3 days with a crew of one to two astronauts. Telecommunication antennas, solar arrays and radiators are installed outside the spacecraft. The Reentry module has a mass of 2.5 tons. Solar Electric system power: 1.00 average kW. ▲ Unofficial CGI of Iranian E2 manned orbital spacecraft with reconstructed missing Shenzhou-type return module. Edited by Soheil, 09 August 2017 - 04:10 AM. 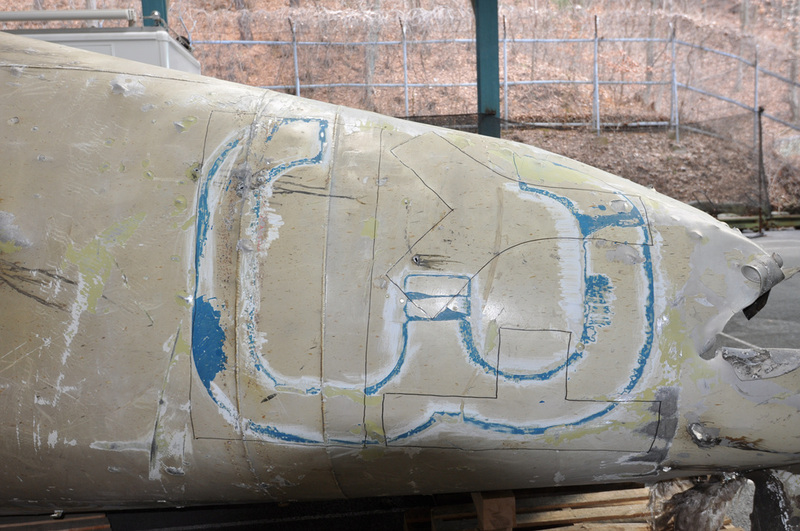 ▲ Aftermath of March 2016 North Korean experimental reentry vehicle nose cap static test: notice the evenly eroded surface. 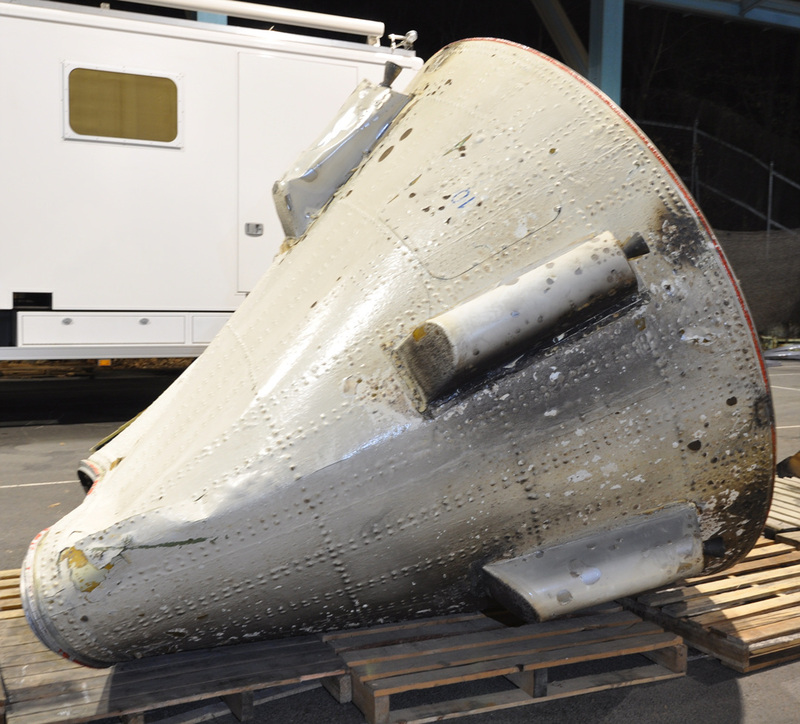 ▲ Undated US Minuteman I-II ballistic missile Mark 11 reentry vehicle nose cap after atmoshperic reentry test flight from Vandenberg Air Force Base to Kwajalein: notice the meteorite-like highly cratered and unevenly eroded surface. Like those of other early human spacecraft, Gemini's heat shield derived from ballistic-missile warhead technology. 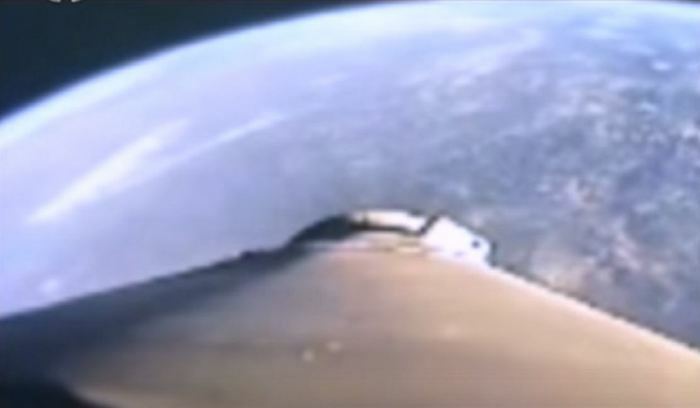 Reentry into the atmosphere beginning at a velocity of more than 27,500 kilometers (Mach 22). 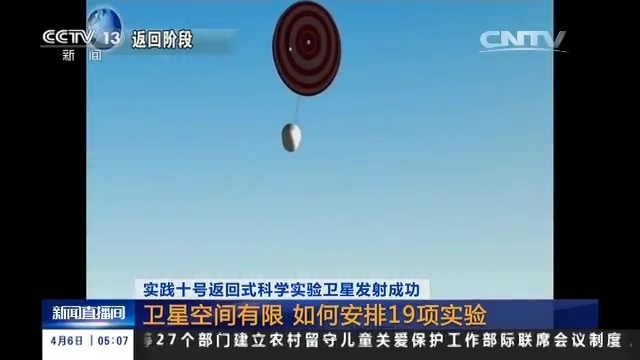 Screen capture from video showing the recovery of a Chinese FHS recoverable capsule. 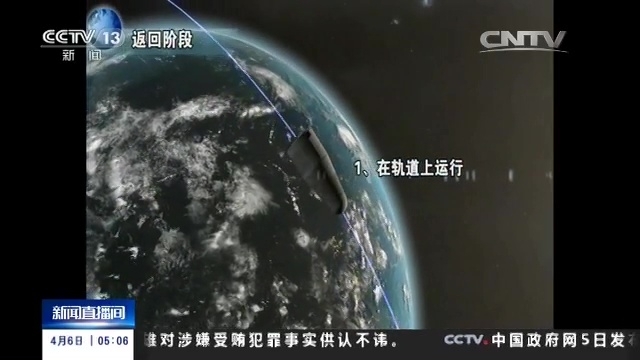 This is interesting because it is pretty similar with the way Post Boost Vehicles (PBVs) of Ballistic Missiles (ICBMs) drop their Multiple Independently Targetable Reentry Vehicle warheads (MIRVs), except that here there is only a single reentry vehicle with Shijian-10. Chinese ICBMs of the DF-41 and DF-5B series all demonstrate that capability. 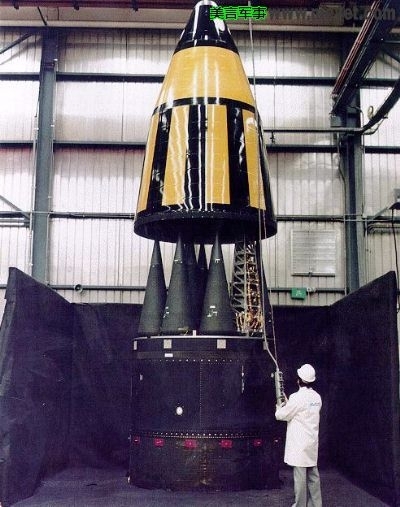 Only the United States, Russia, Britain, France, and China are known to have developed MIRV missiles. 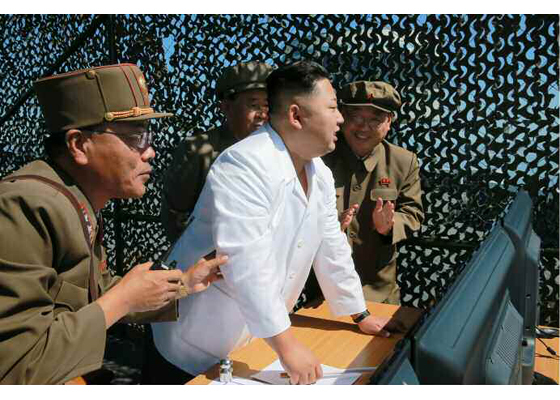 North Korea's MIRV warheads seem to have not reached operational stage yet. 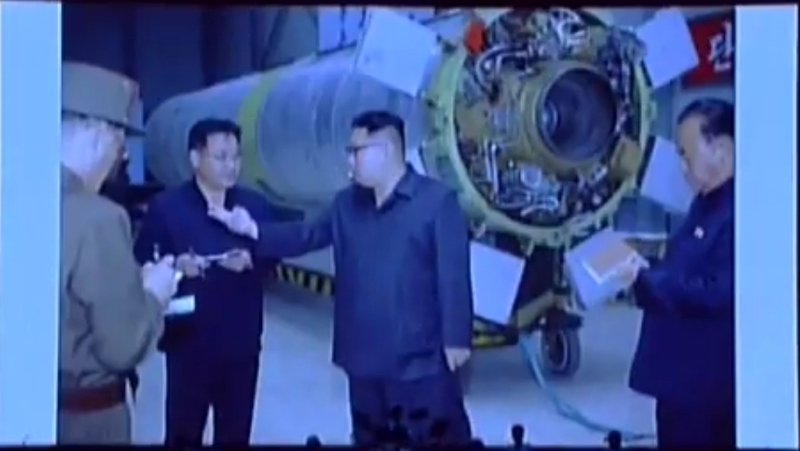 Dr Han Ho Seok said that the ground test reported by Western media on June 21, 2017, of some alleged small rocket engine for an ICBM 2nd or 3rd stage, was rather a propulsion unit (Post Boost Vehicle) that is attached to the re-entry vehicle to guide the warhead precisely to the target while avoiding interceptors. 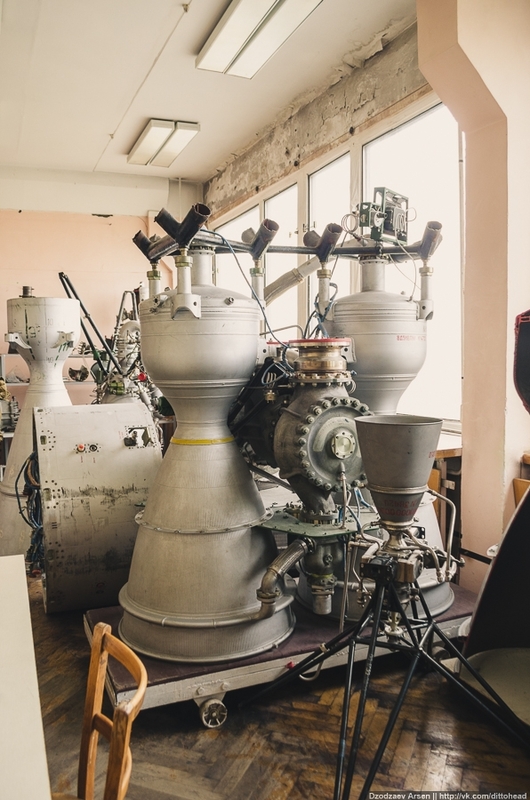 While solid rocket engine designs are relatively simple, the design of liquid rocket engines is very complex. The small rocket engine, consists of two liquid fuel tanks, one combustion chamber and nozzle, and a complex entangled pipe and pump. Edited by Soheil, 09 August 2017 - 04:11 AM.